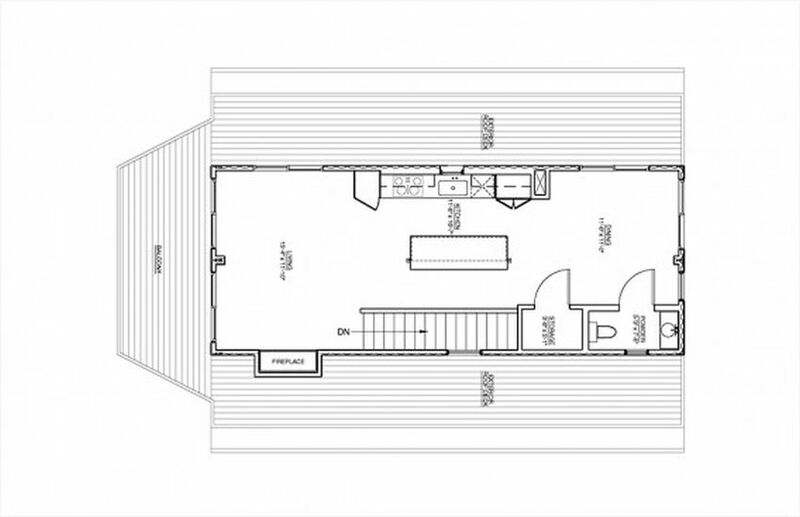 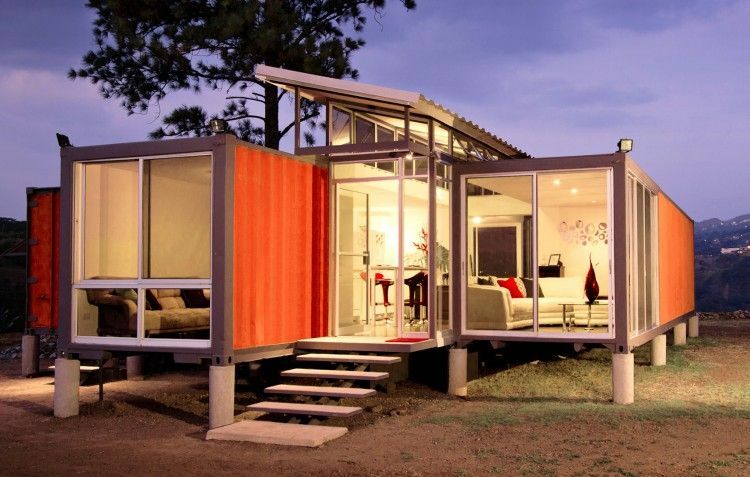 Shipping Container House Plans – A shipping container by itself is pretty boring, but even a brand new one is pretty cheap. 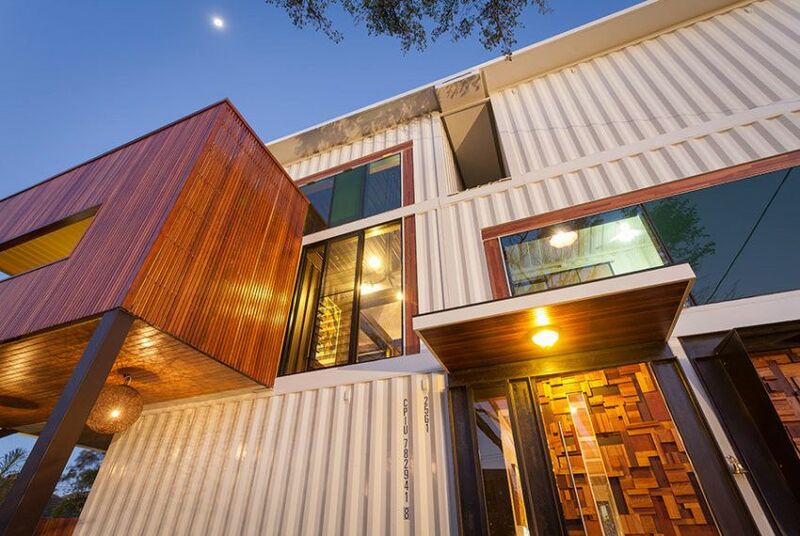 With a little bit of imagination (and a lot of work), some talented architects succeeded to design dwellings made of shipping containers, ranging from off-the-grid guest homes to full-time single-family homes. 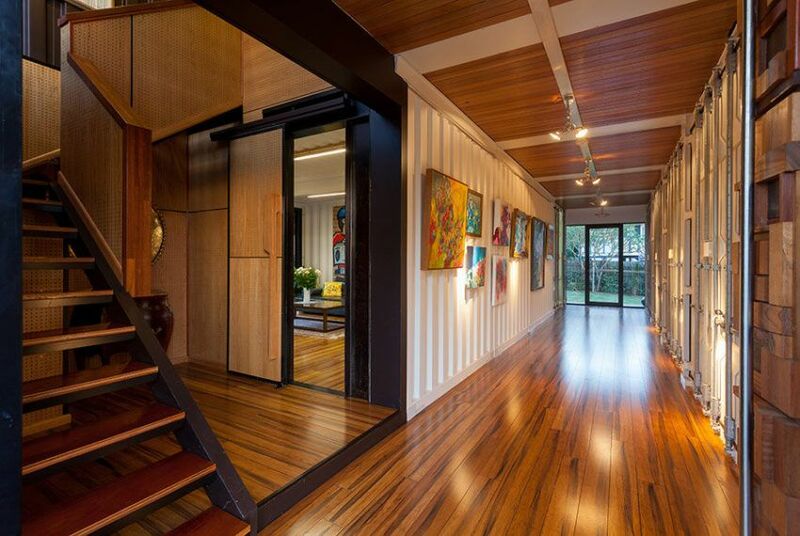 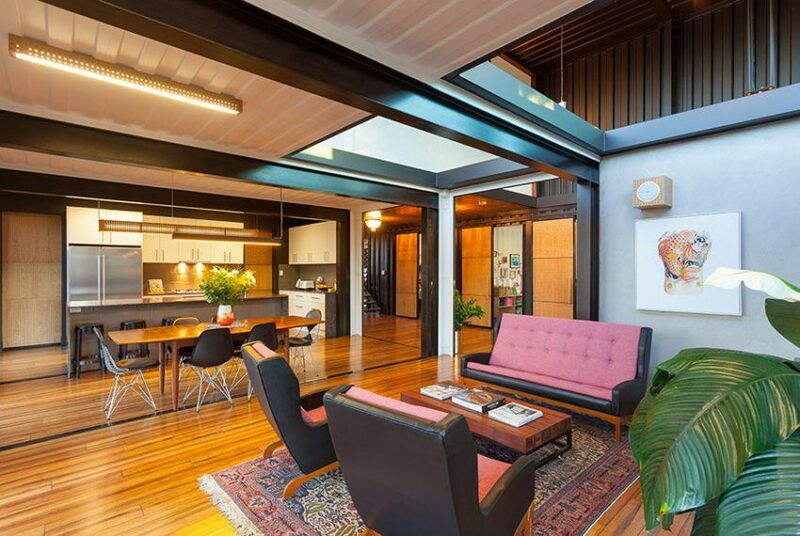 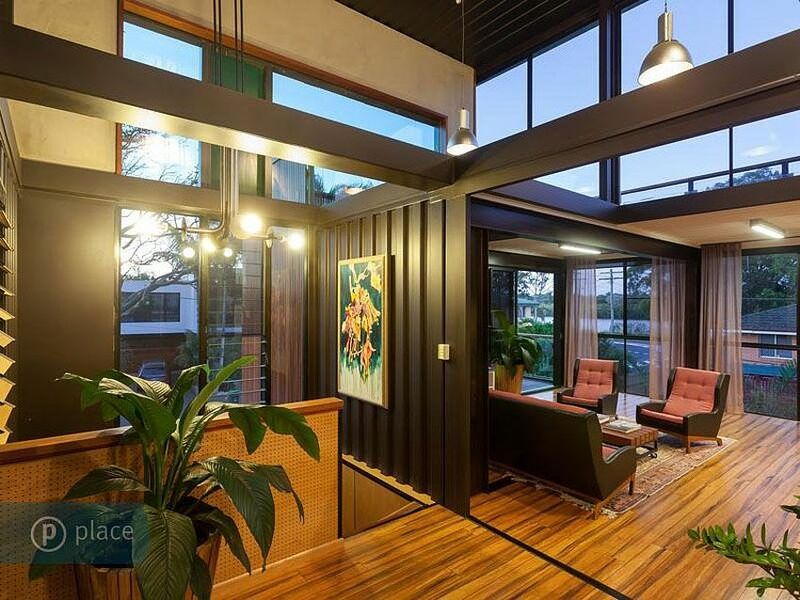 Shipping Container homes have their pros and cons: they are durable and eco-friendly, most of time cheaper to build than conventional constructions, and pre-fab modules can be easily transported by truck. 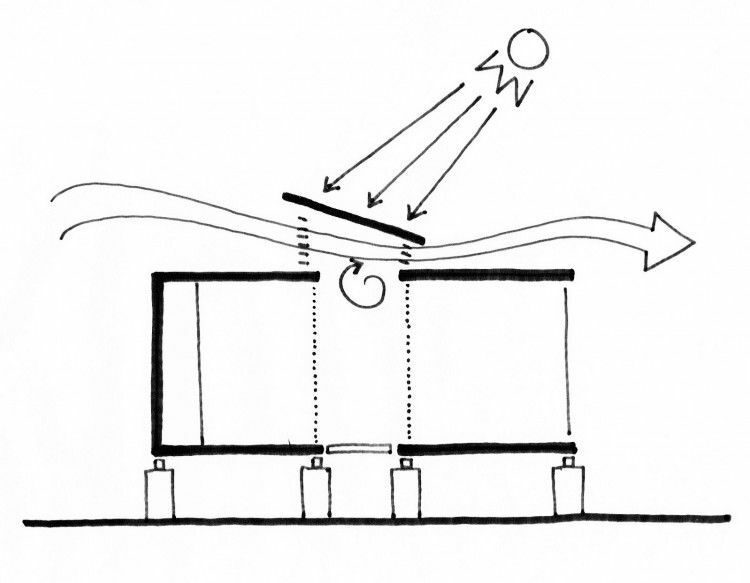 But they also have to be very well insulated and sealed as the steel conducts heat a lot and easily rusts if the air condenses against it. 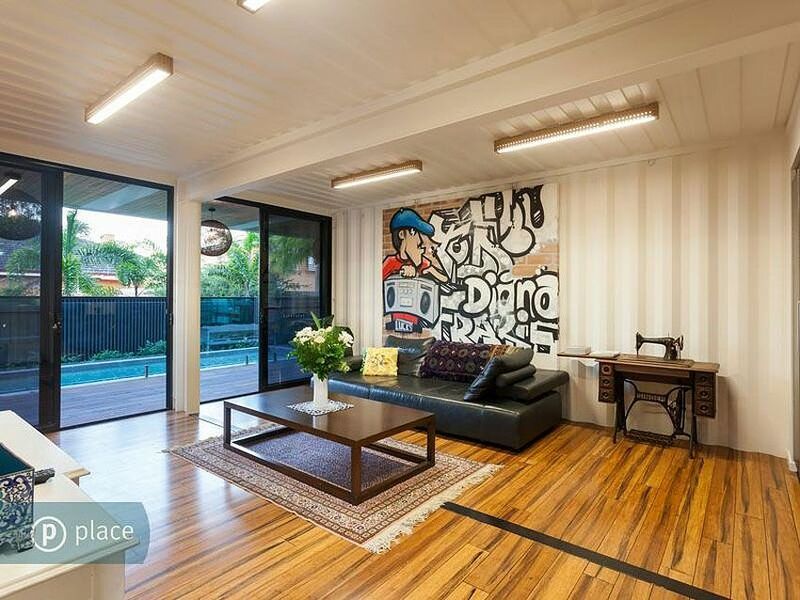 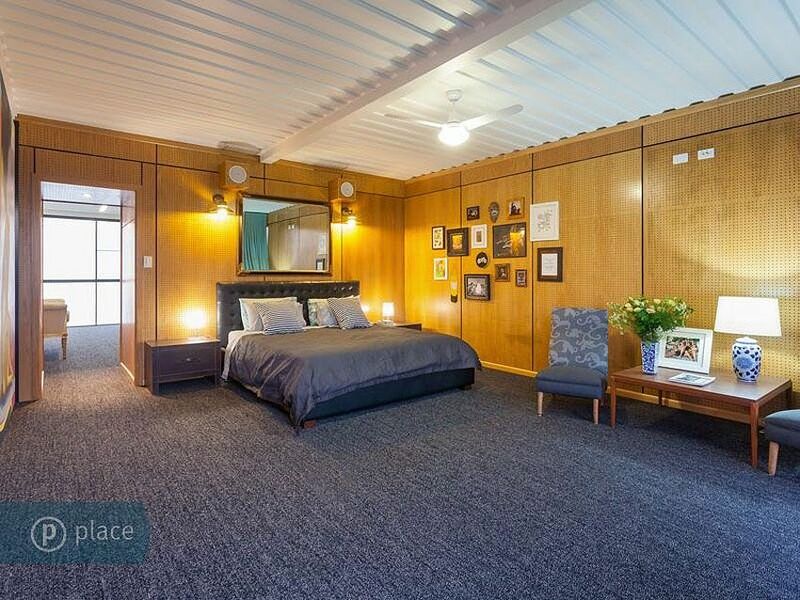 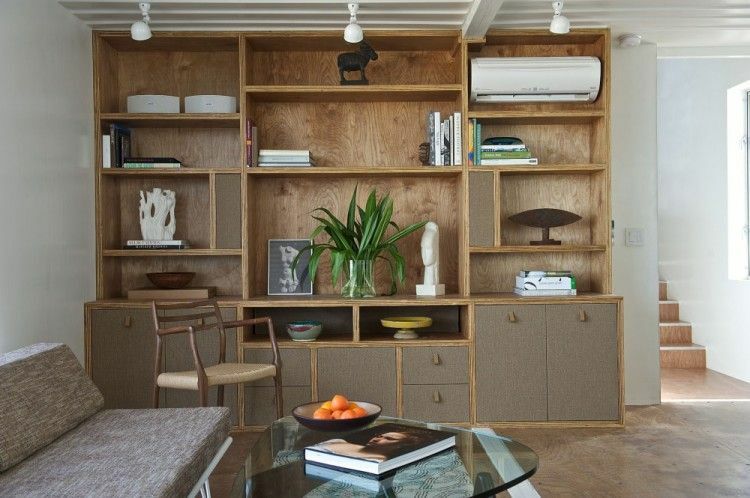 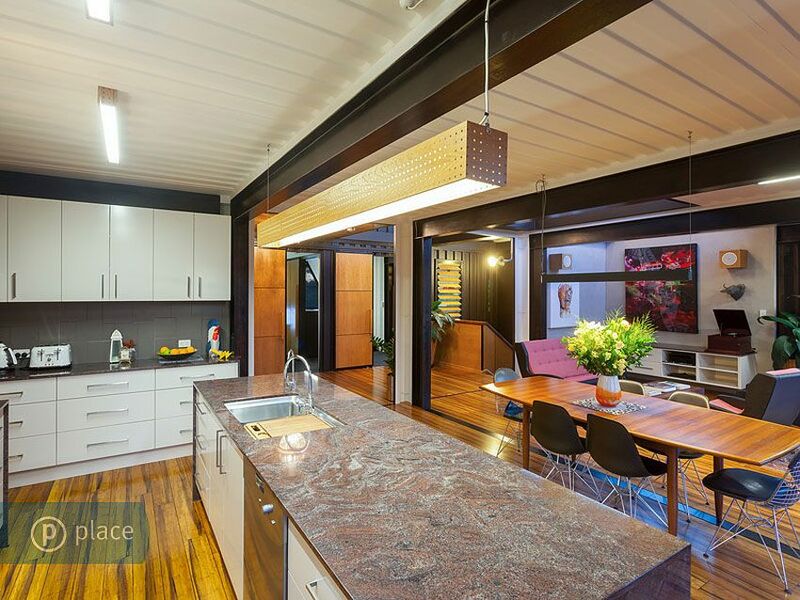 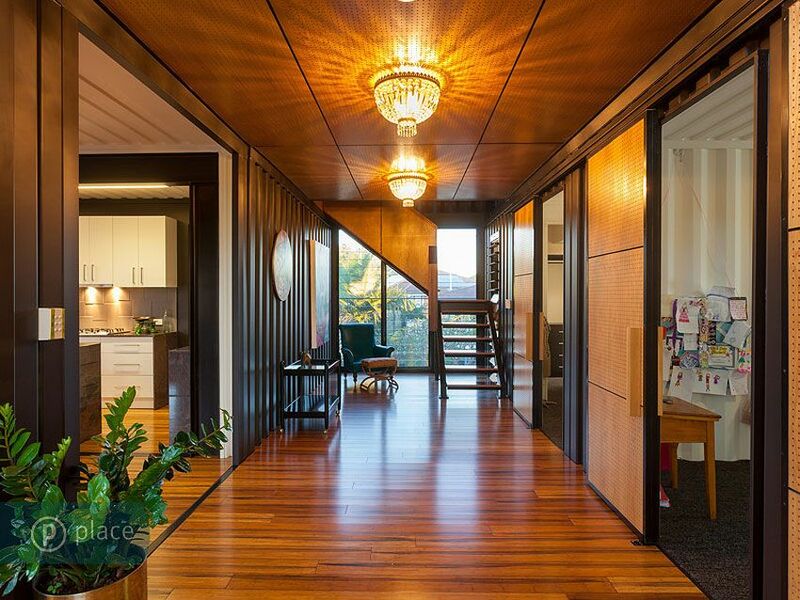 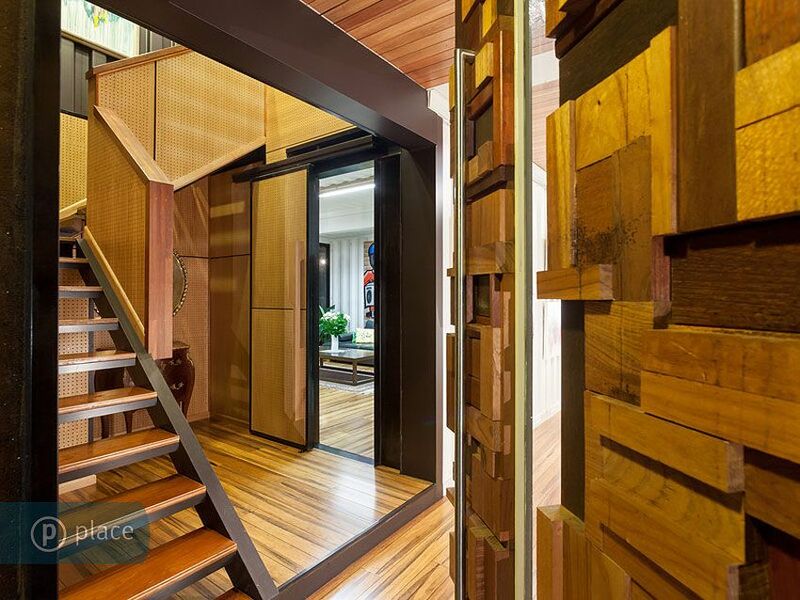 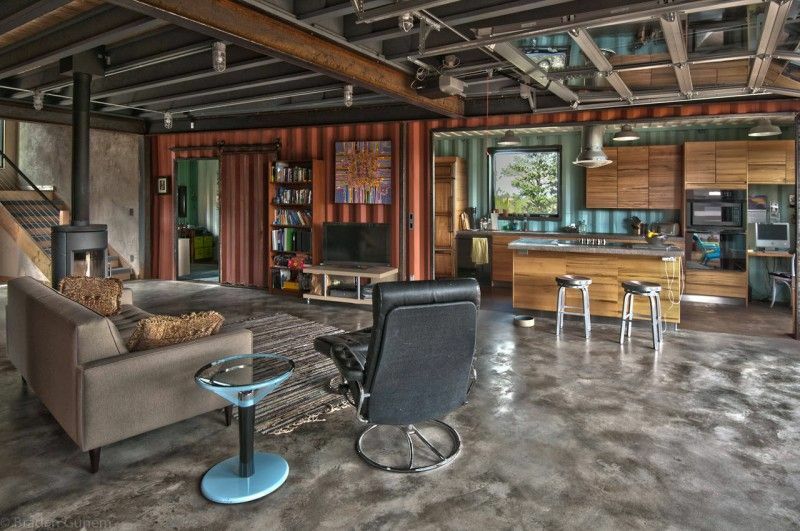 You may think that living in a container home doesn’t sound very appealing. 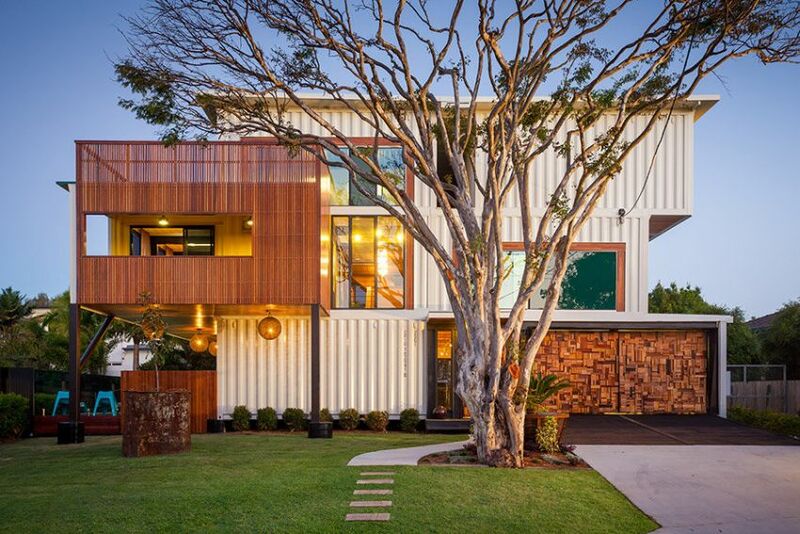 Here are 11 of the best modern shipping container houses plans built around the world that may lead you to reconsider. 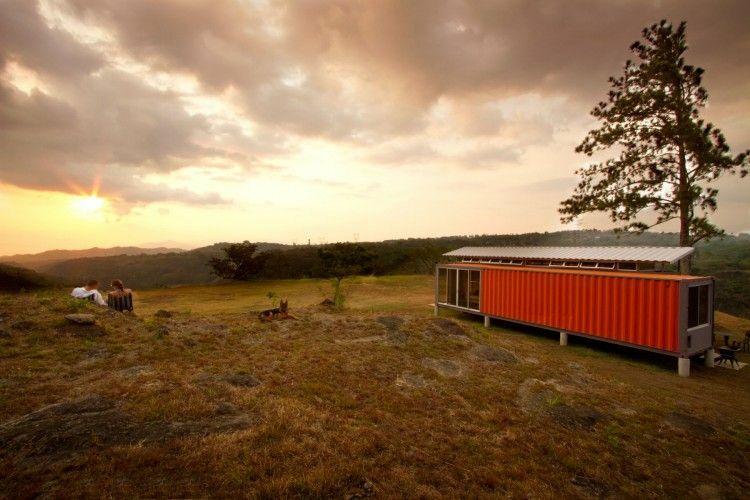 Benjamin Garcia Saxe finished the Containers of Hope project in 2011 with a budget of $40,000. 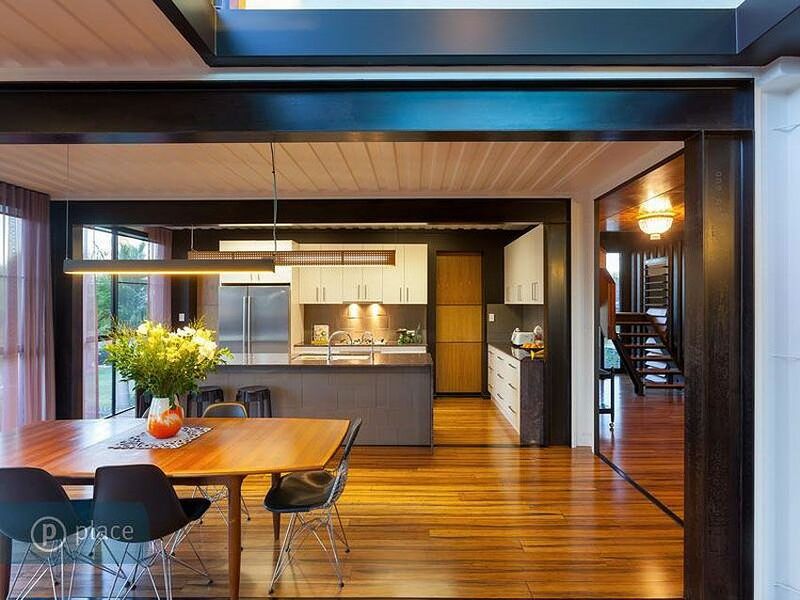 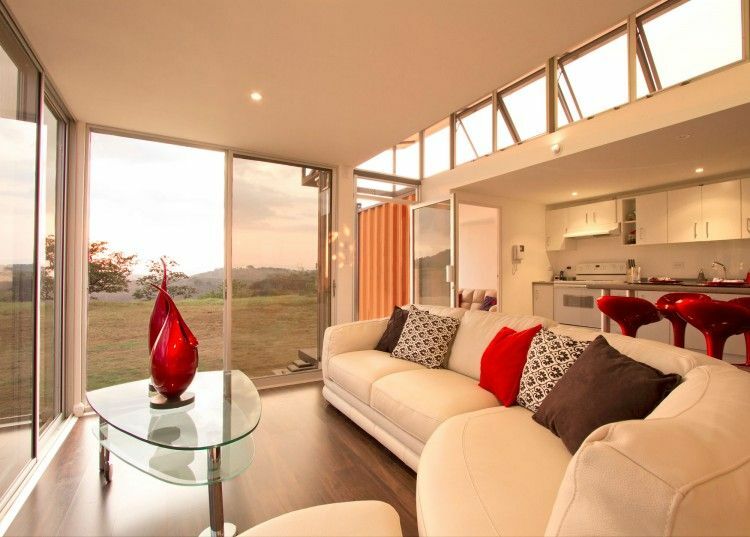 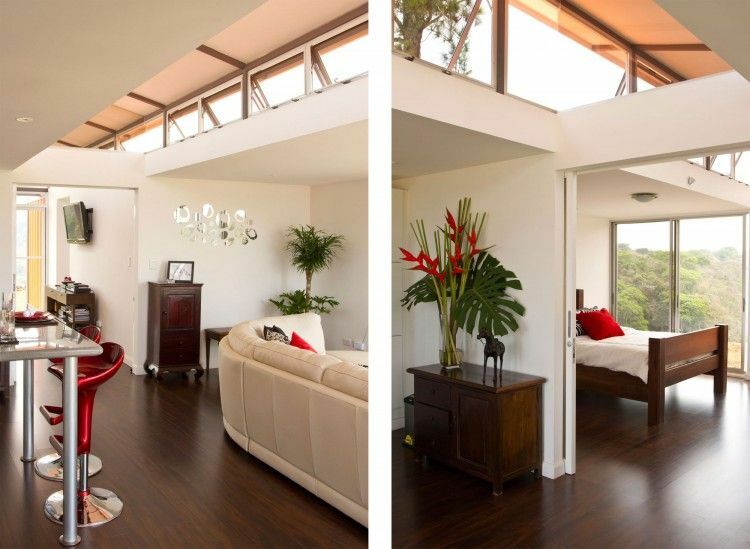 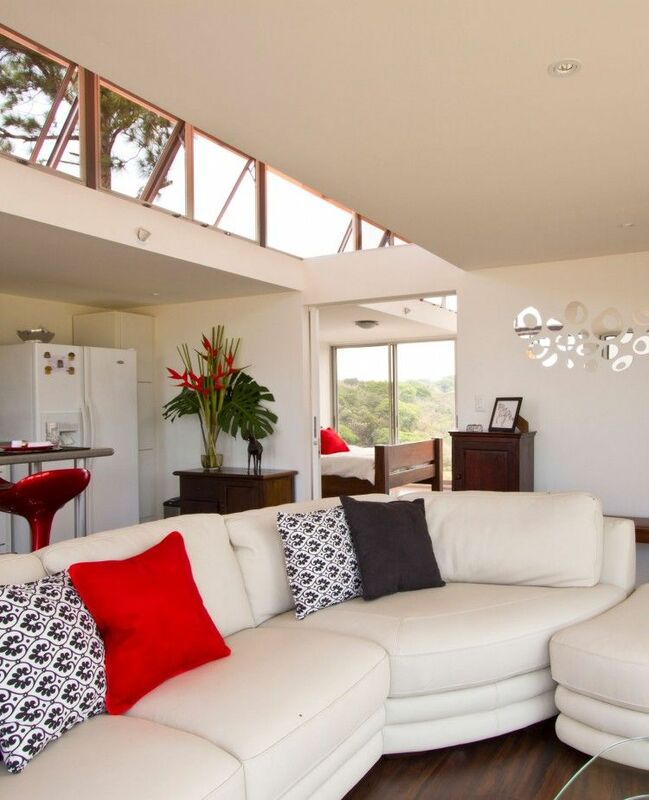 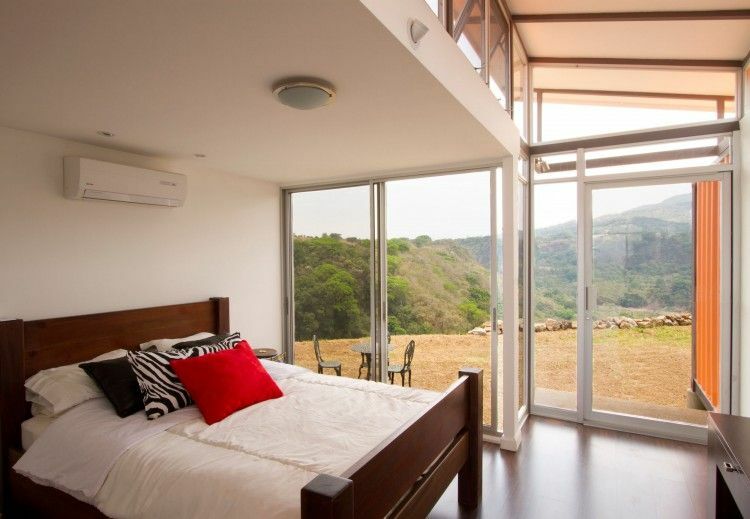 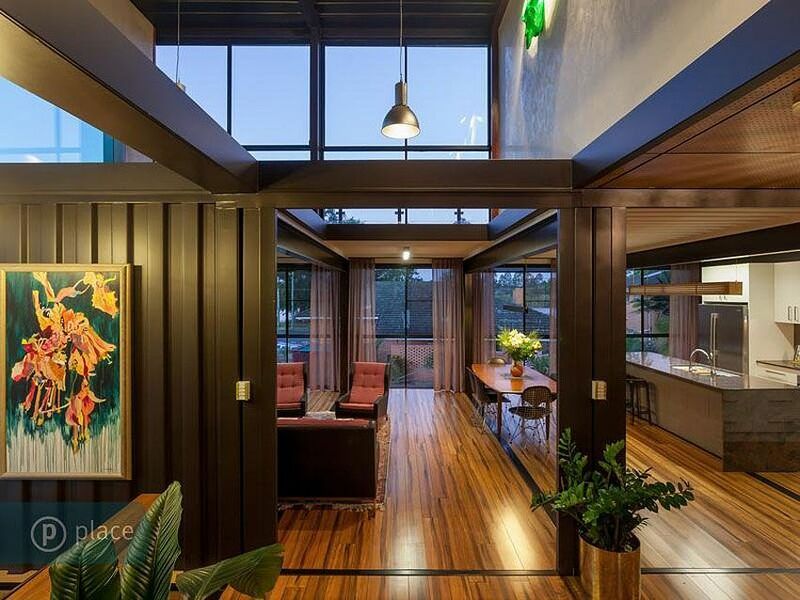 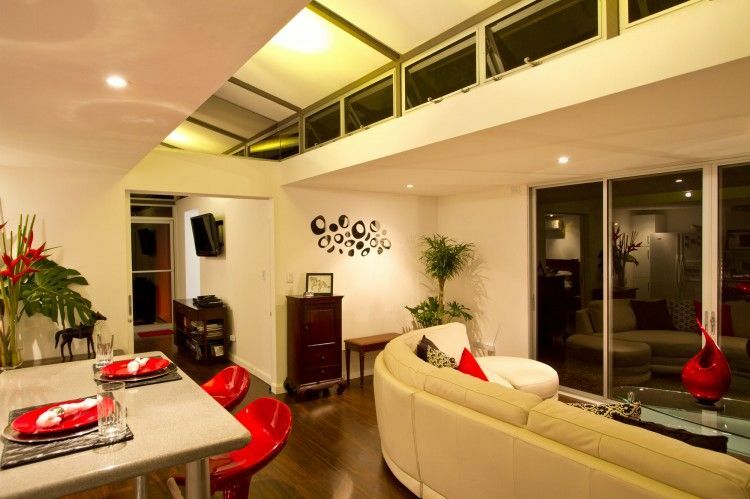 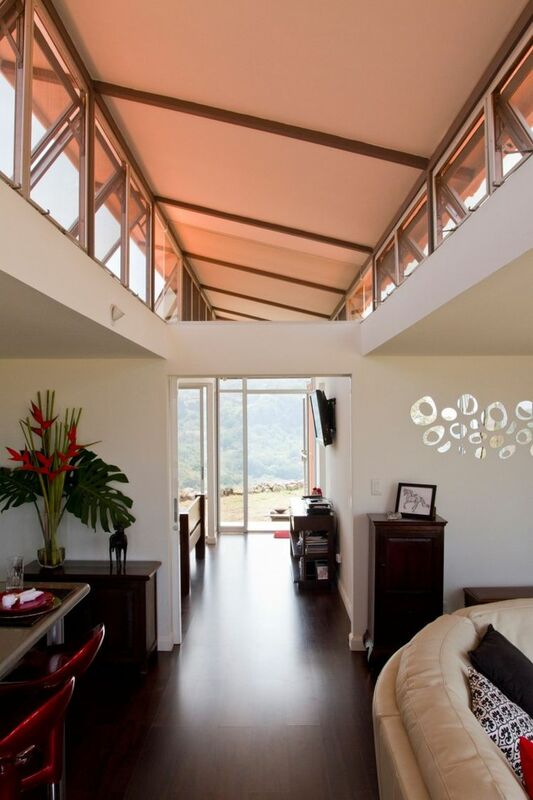 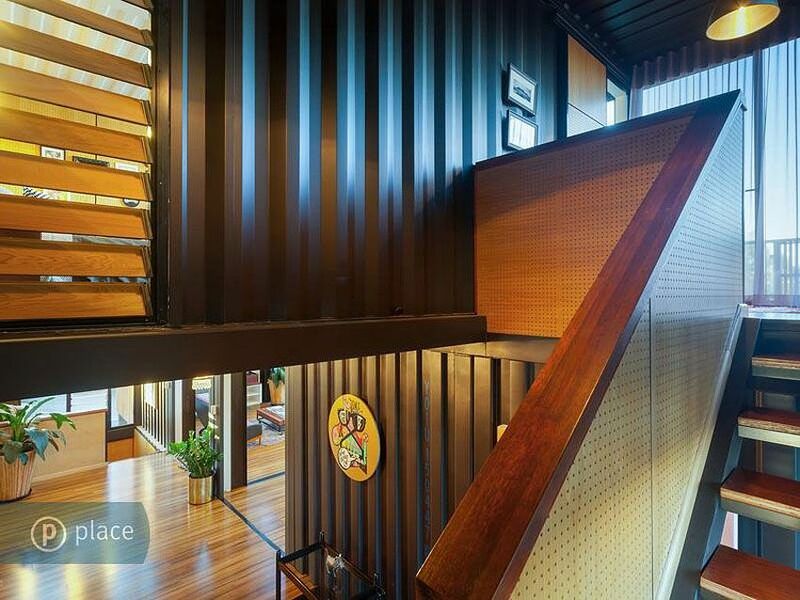 Located in San Jose, Costa Rica, this container house made of two 40 foot shipping containers is the result of a close collaboration between the architect and his clients, who went on to construct the building themselves. 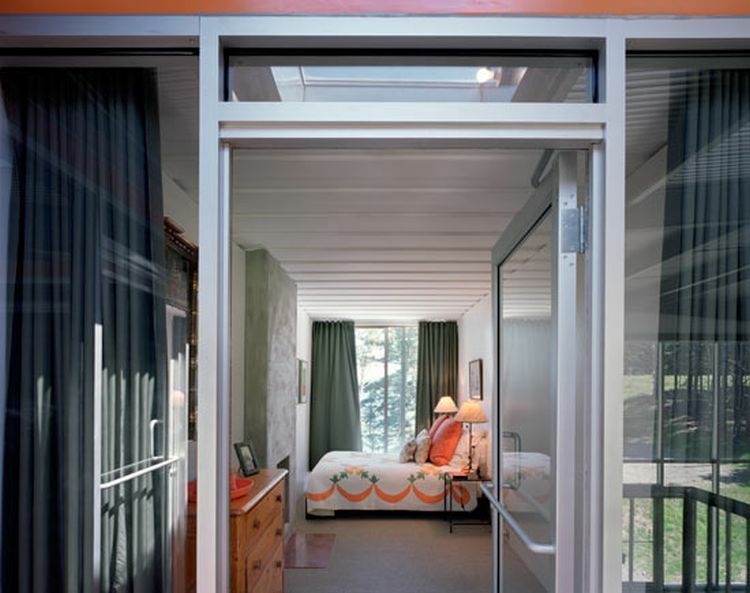 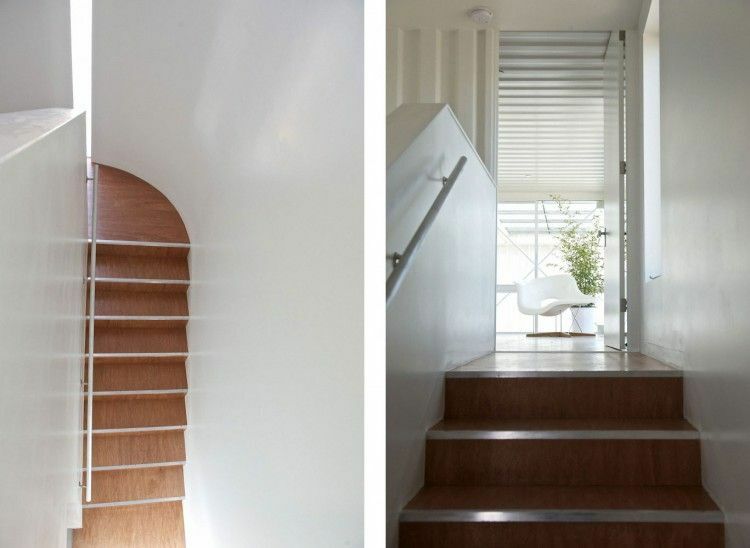 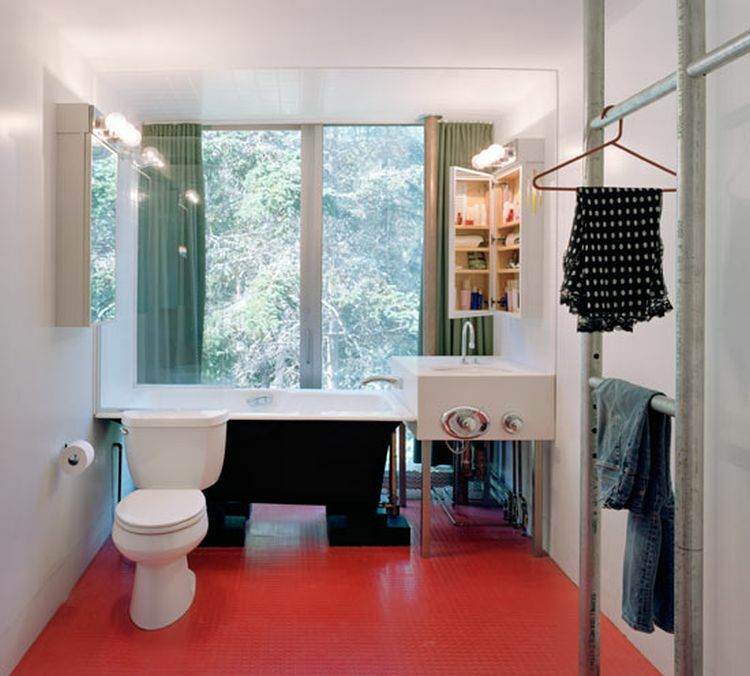 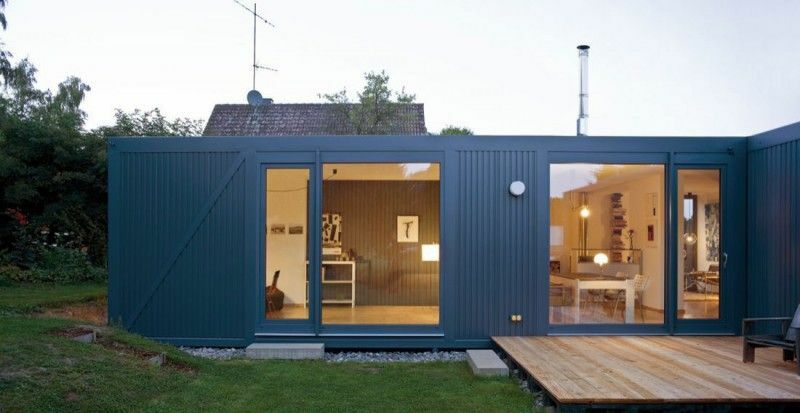 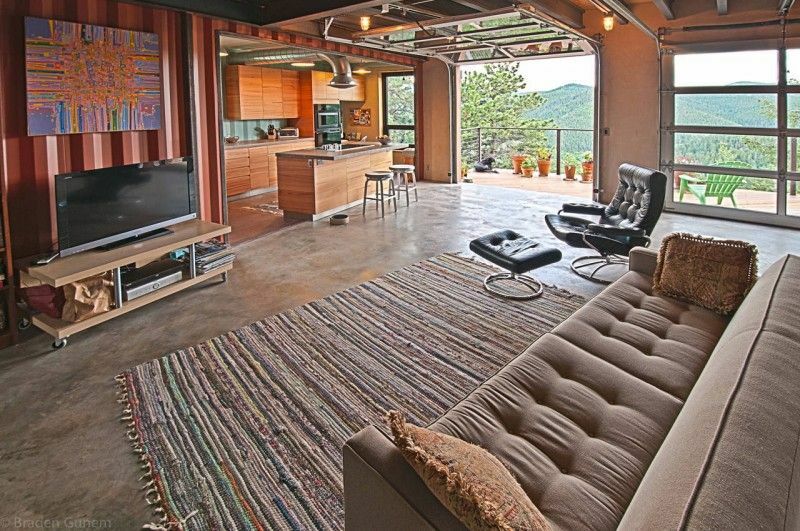 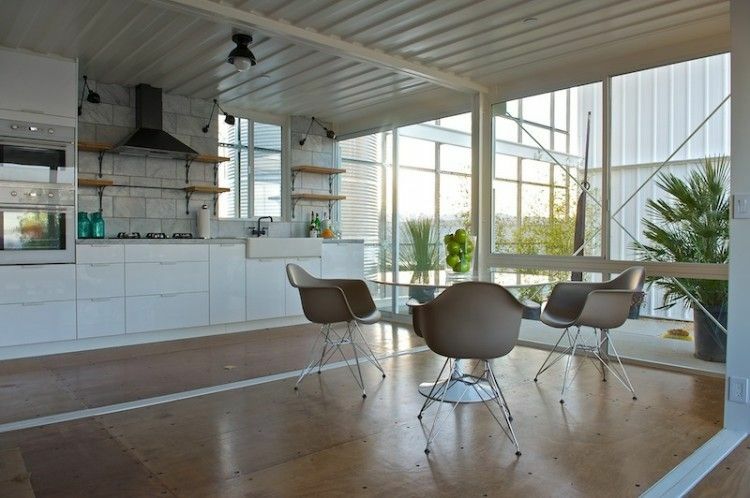 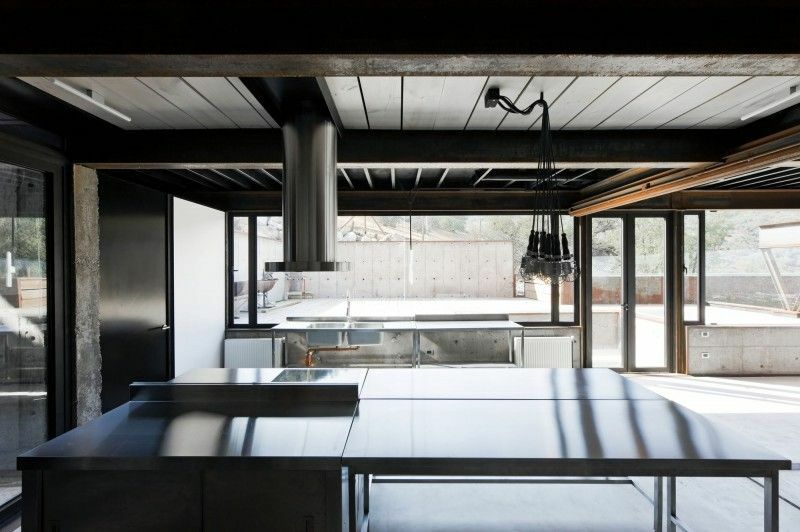 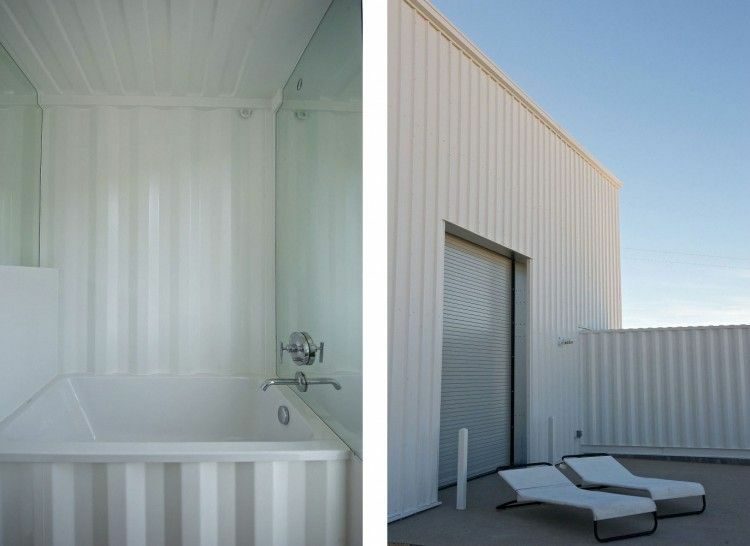 Colorado-based Studio H:T designed this Shipping Container House in 2010. 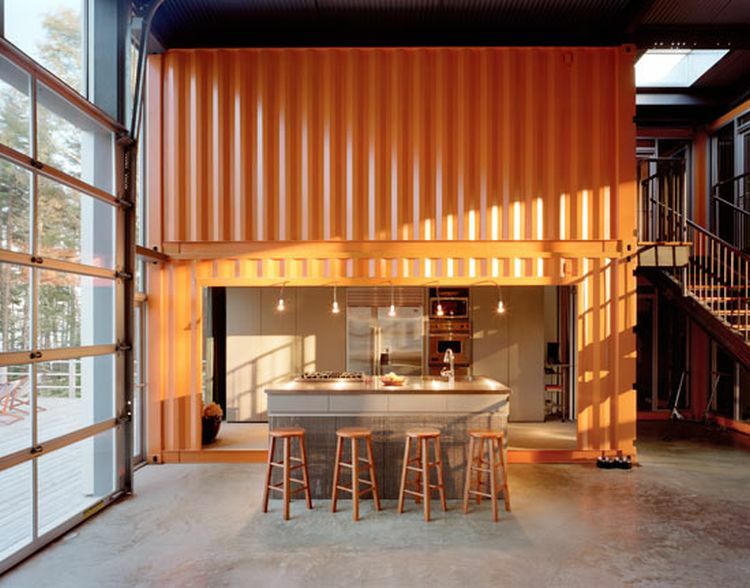 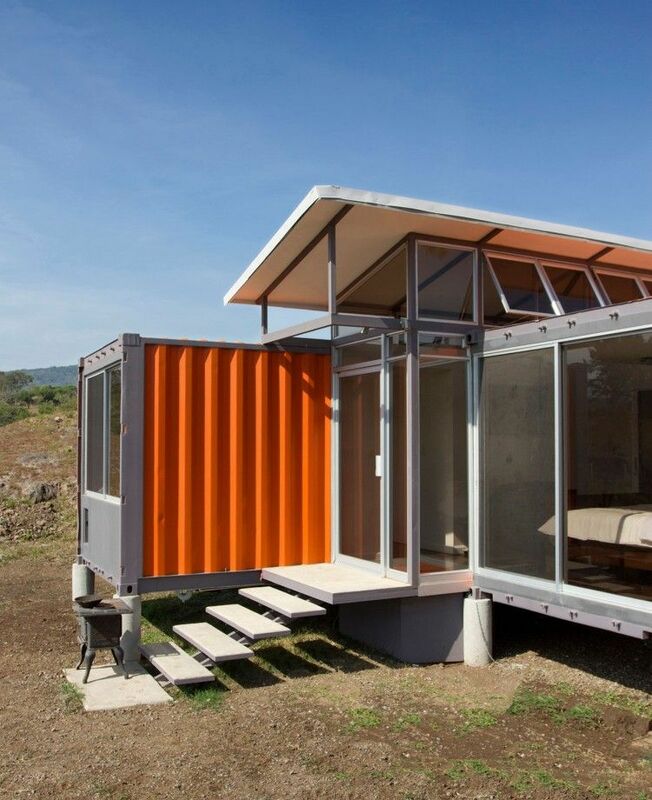 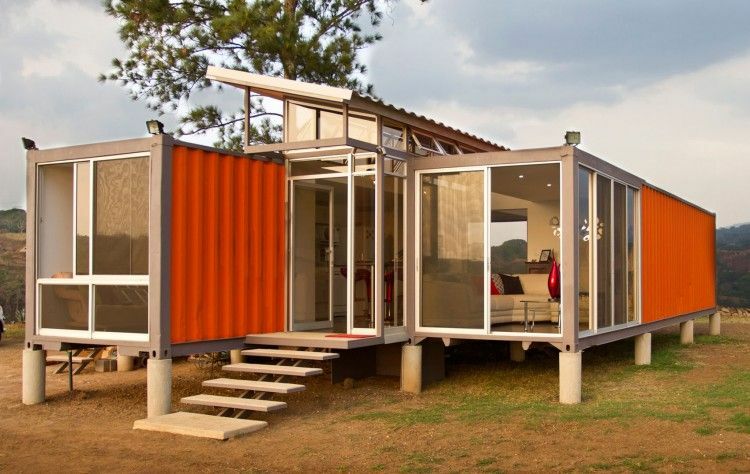 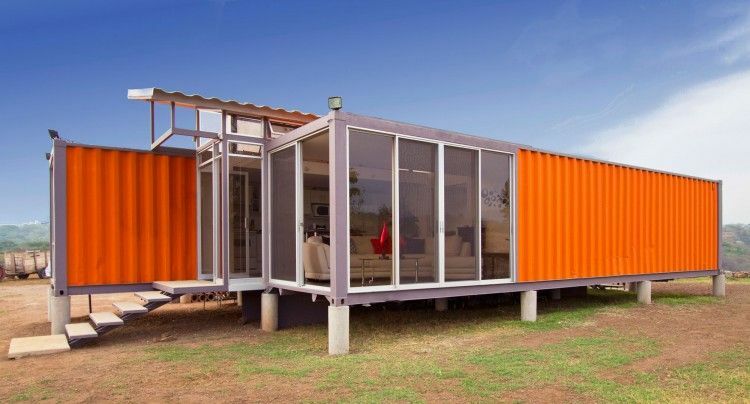 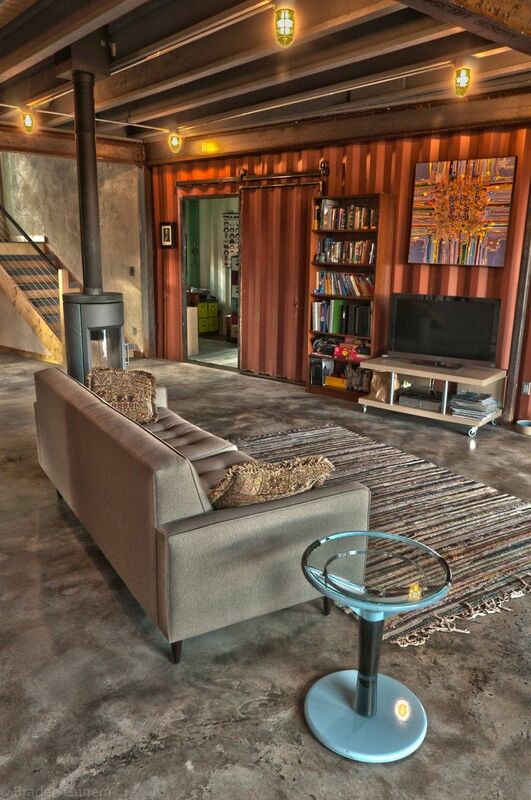 It is made of two 40 foot Shipping Containers. 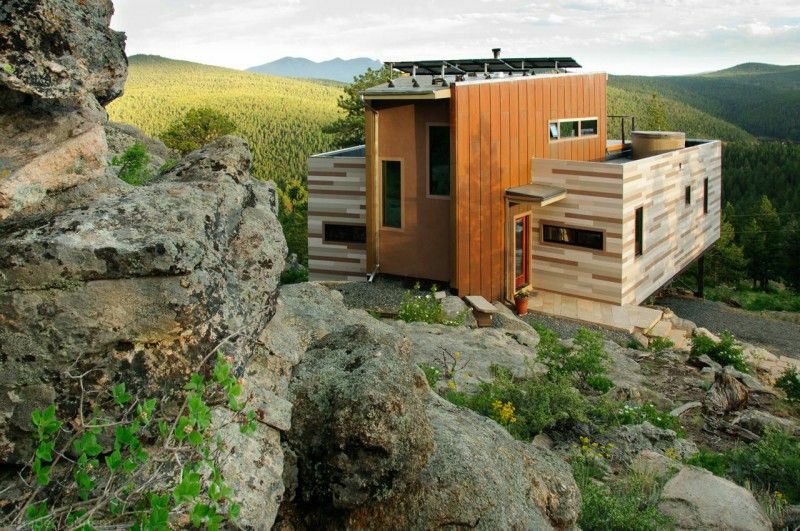 The project is planned to be off-the-grid using solar orientation, passive cooling, green roofs, pellet stove heating and photovoltaics to create electricity. 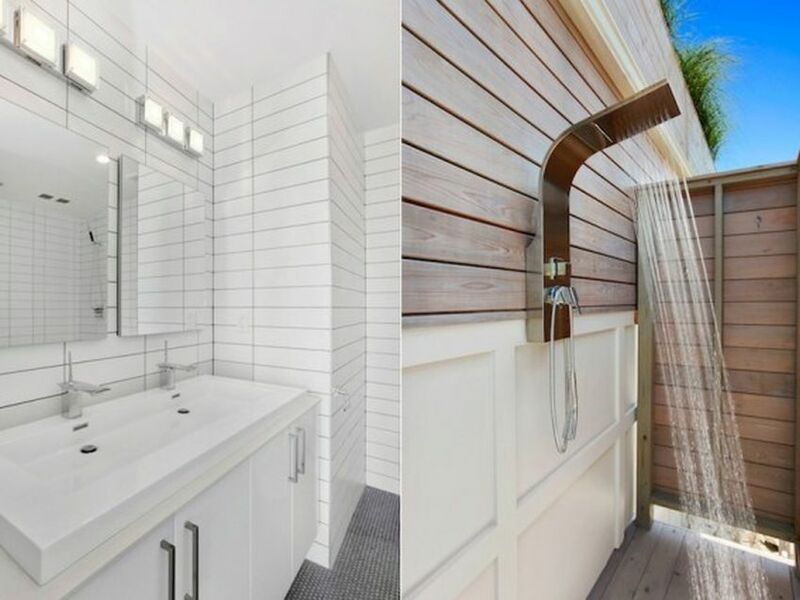 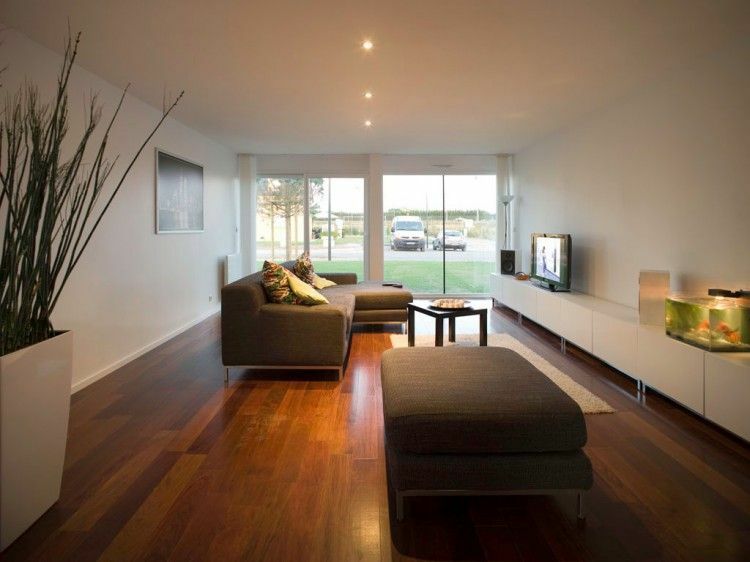 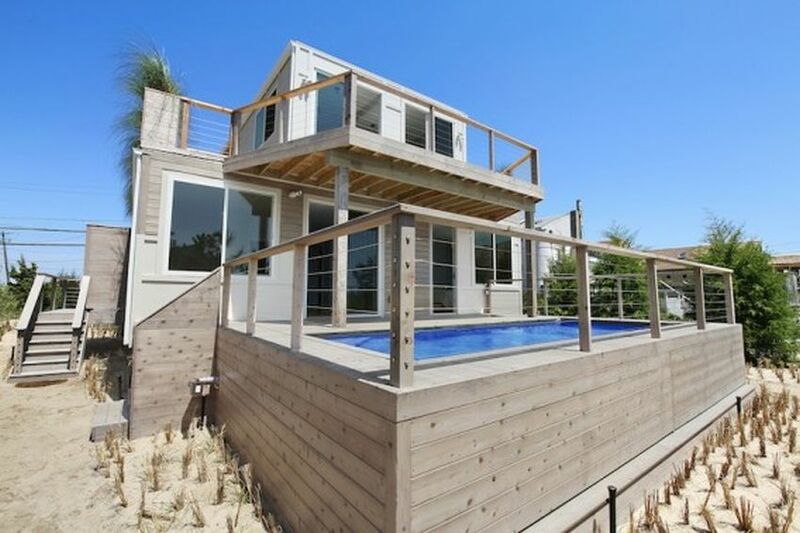 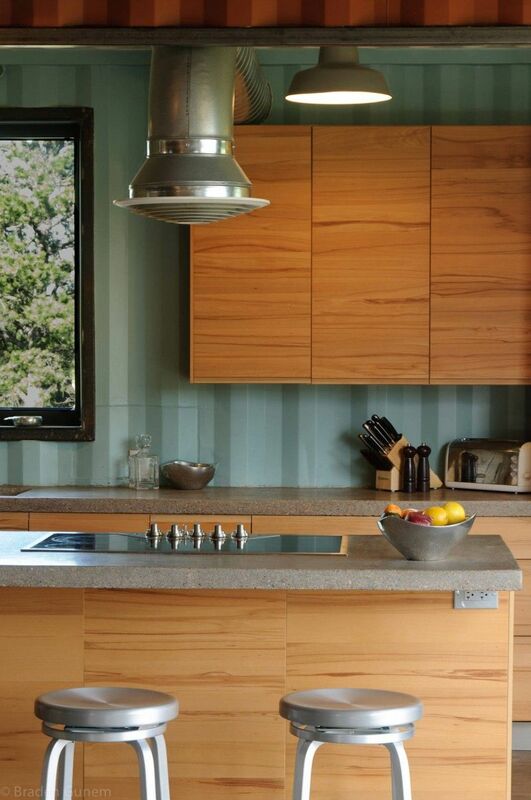 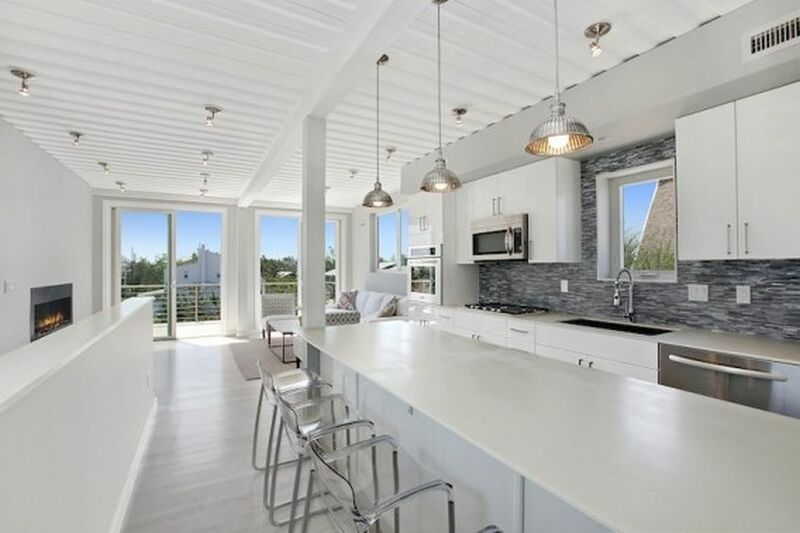 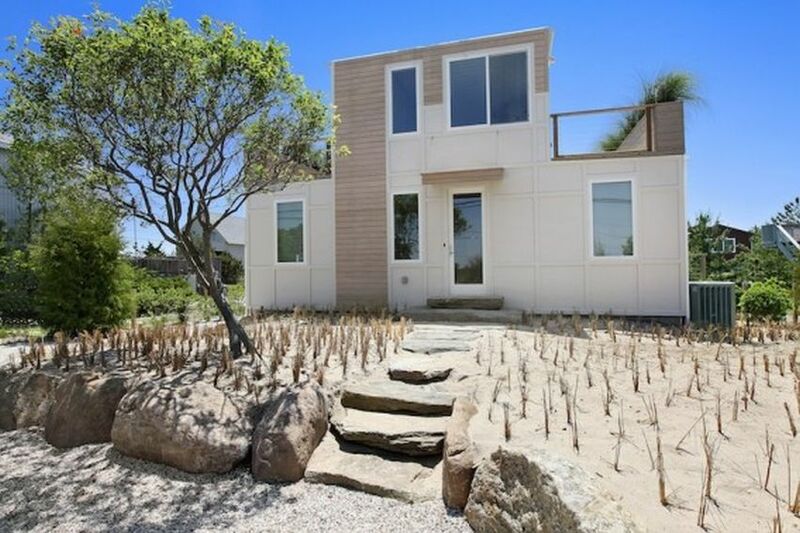 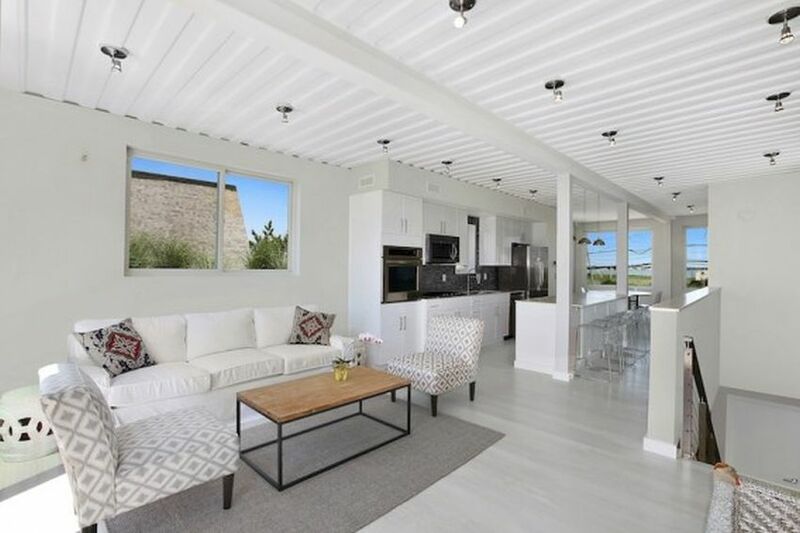 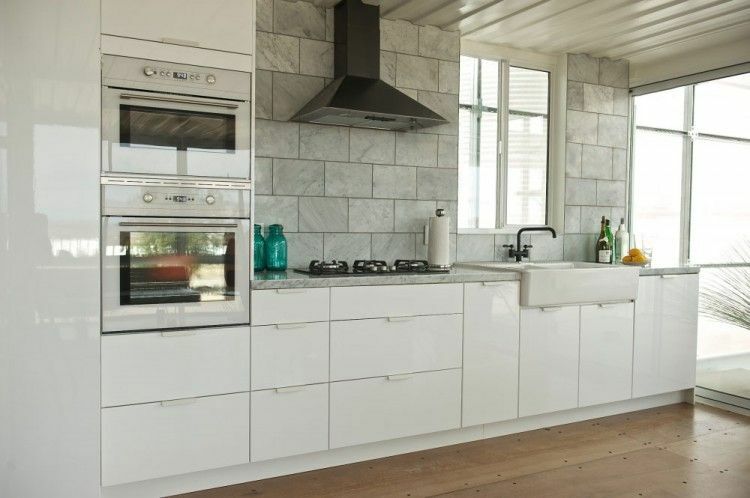 The Beach Box is a shipping container house located in the dunes of Amagansett, New York, USA. 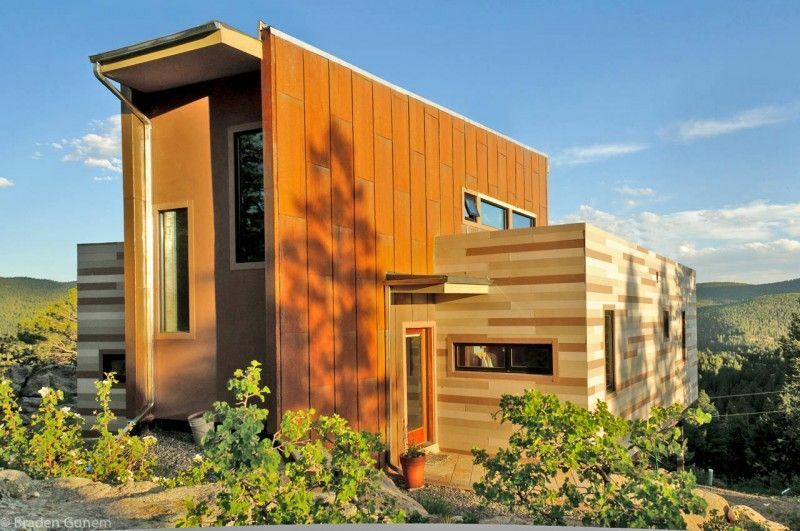 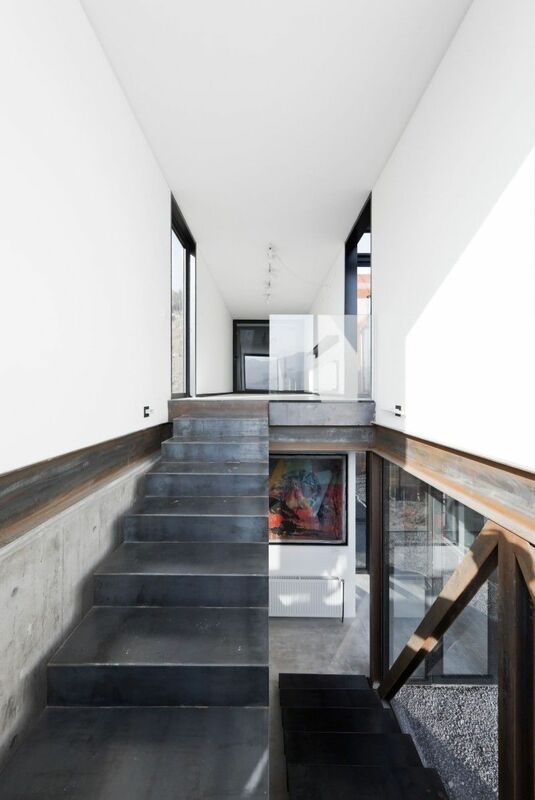 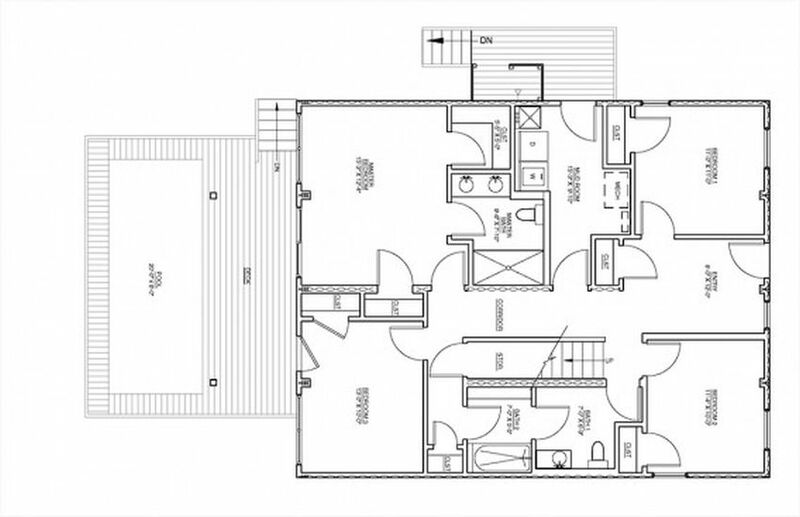 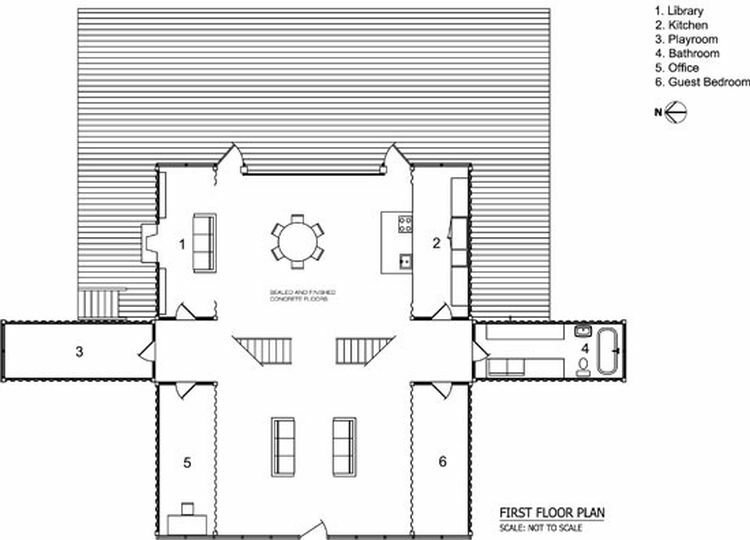 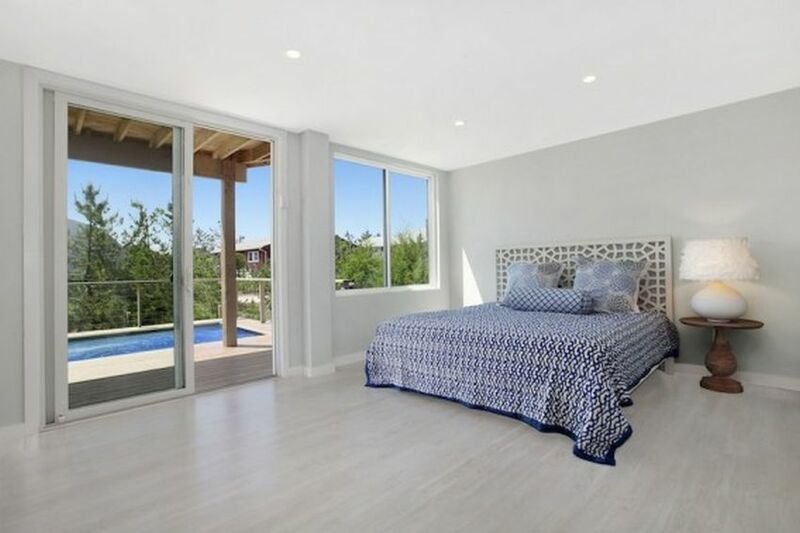 This 2,000 square foot, four bedrooms, two and a half bath home was developed by Andrew Anderson with six-modules from New York-based company SG Blocks. 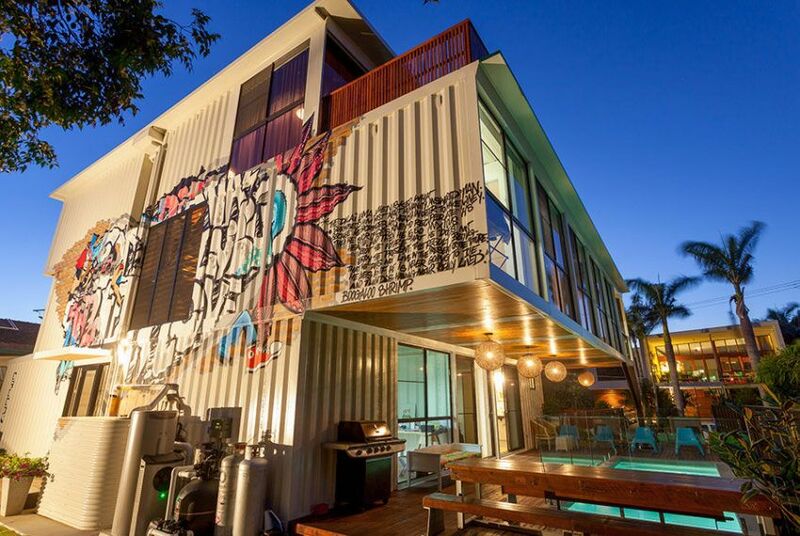 Todd Miller of Zeigler Build recently built this amazing three story container house, using thirty-one brand new 40-foot shipping containers! 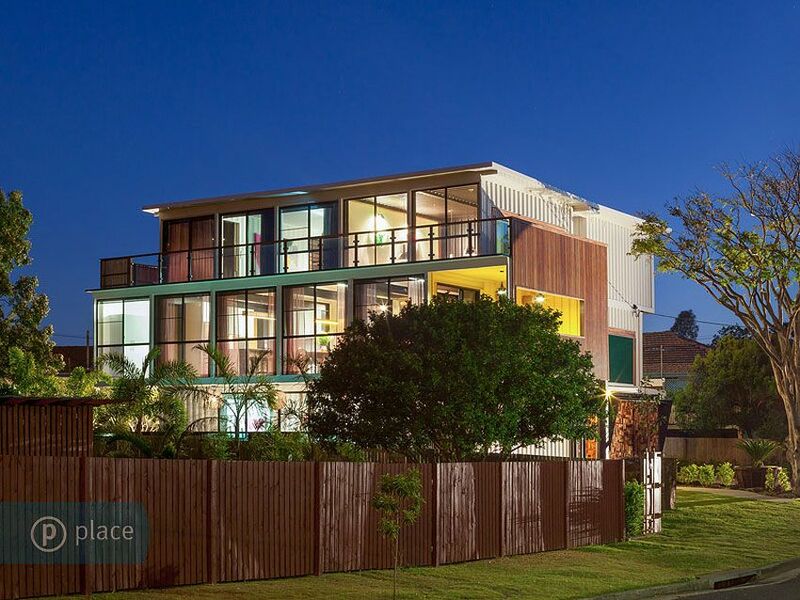 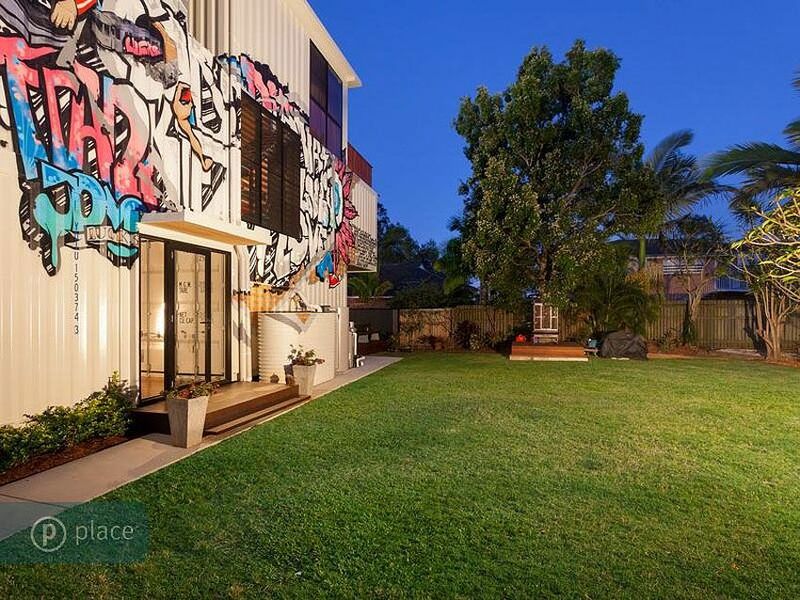 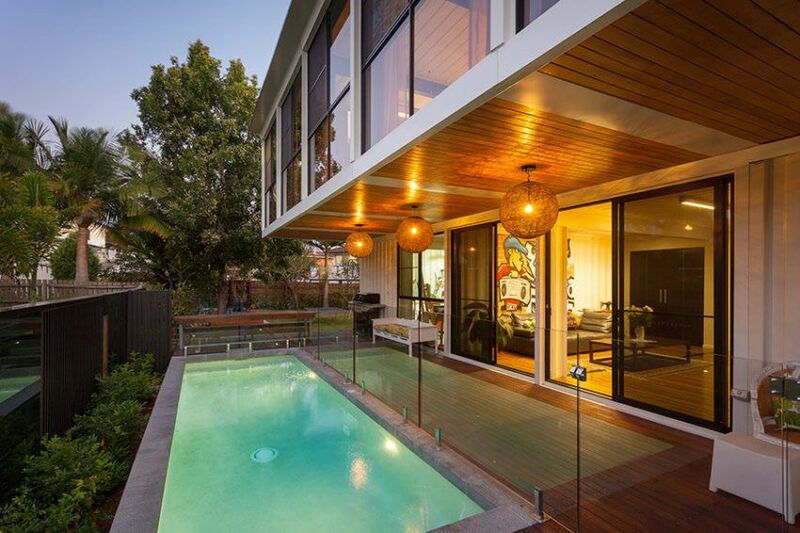 This spectacular four bedroom, four bathrooms, 6,000 square foot home is located 5 miles away from the heart of Brisbane, Queensland, Australia. 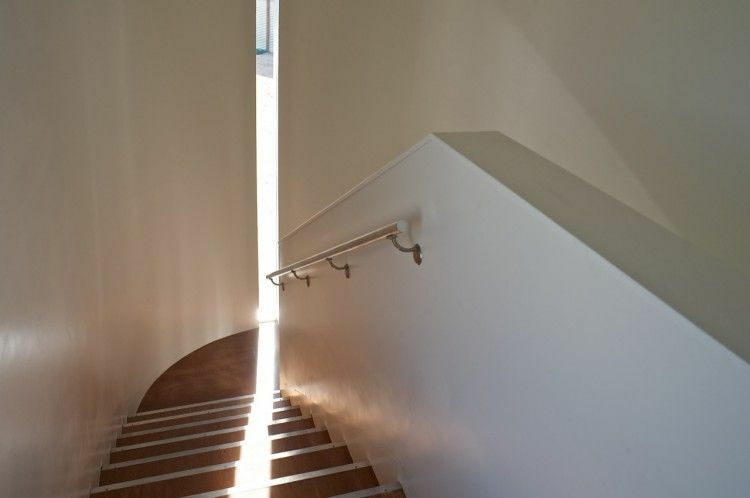 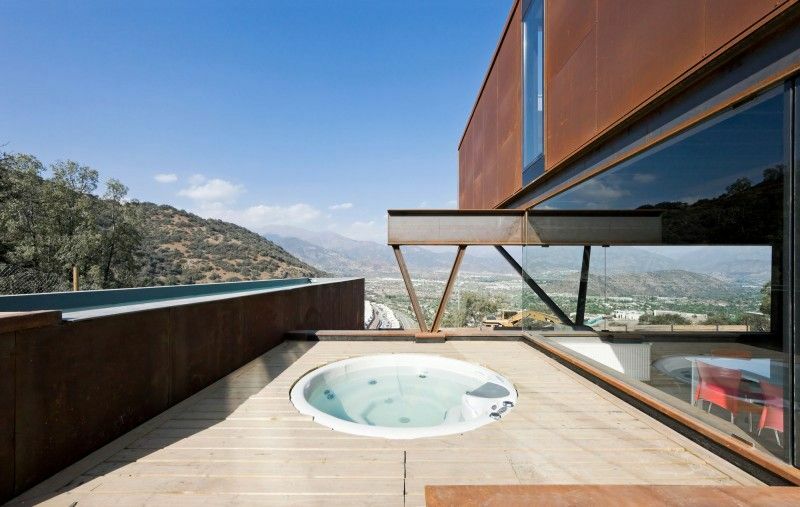 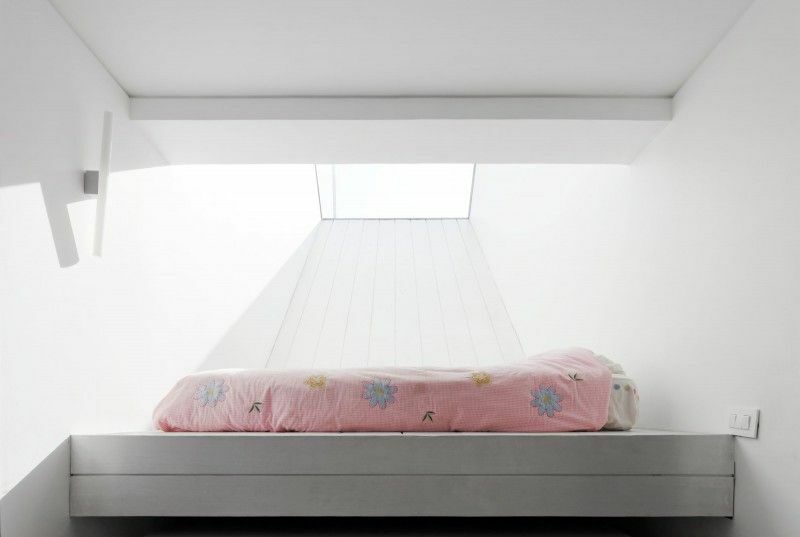 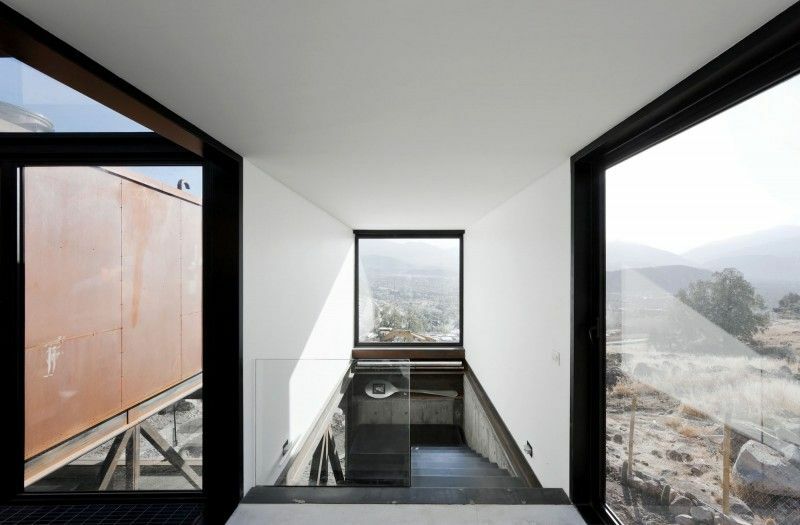 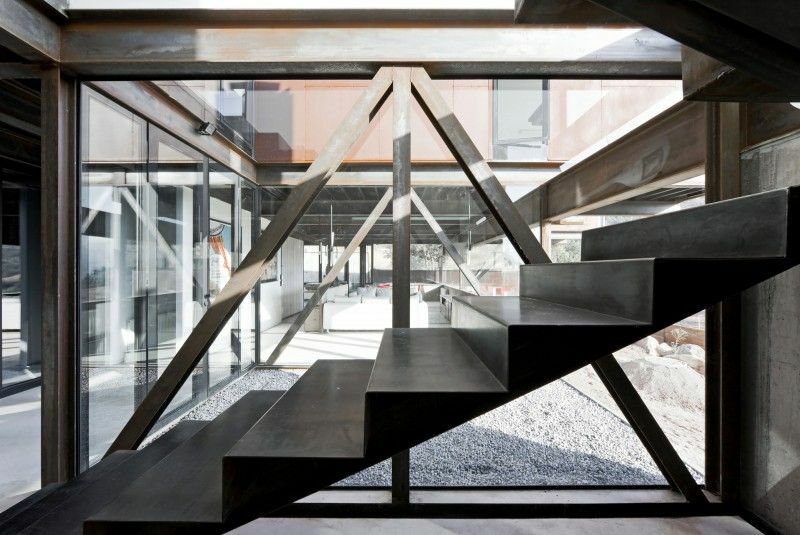 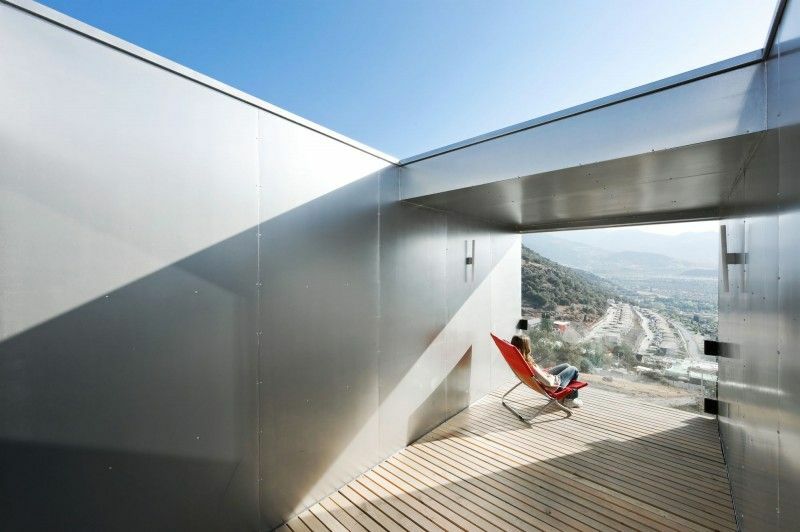 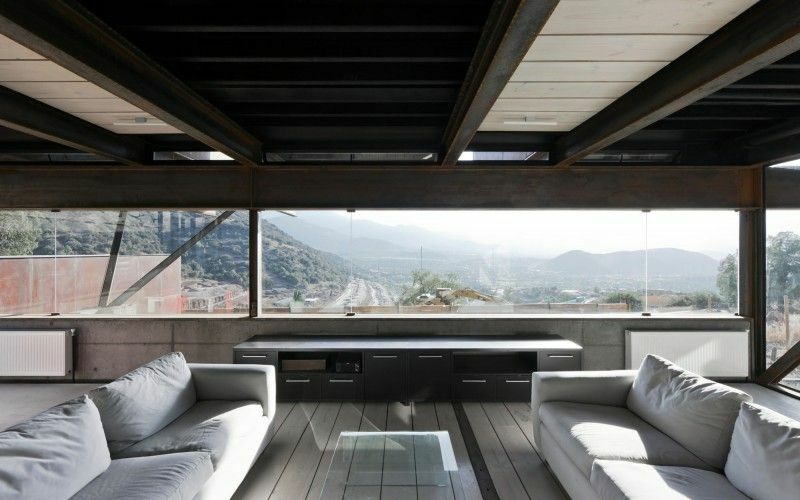 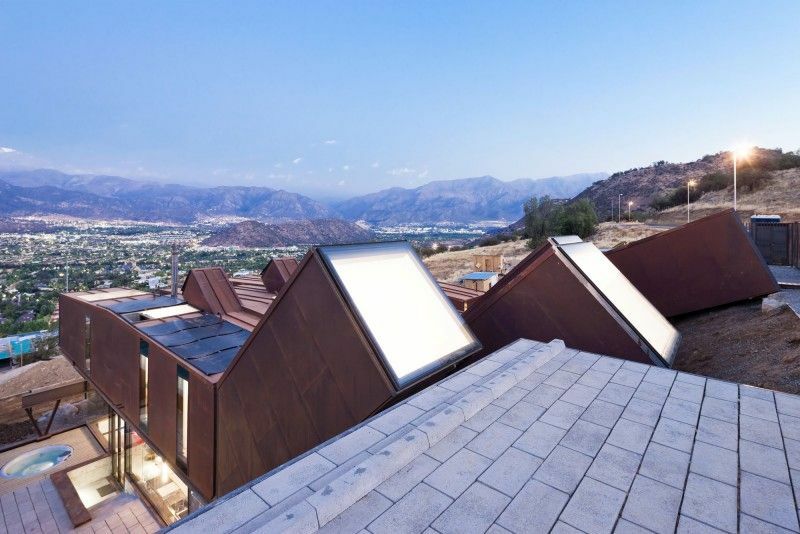 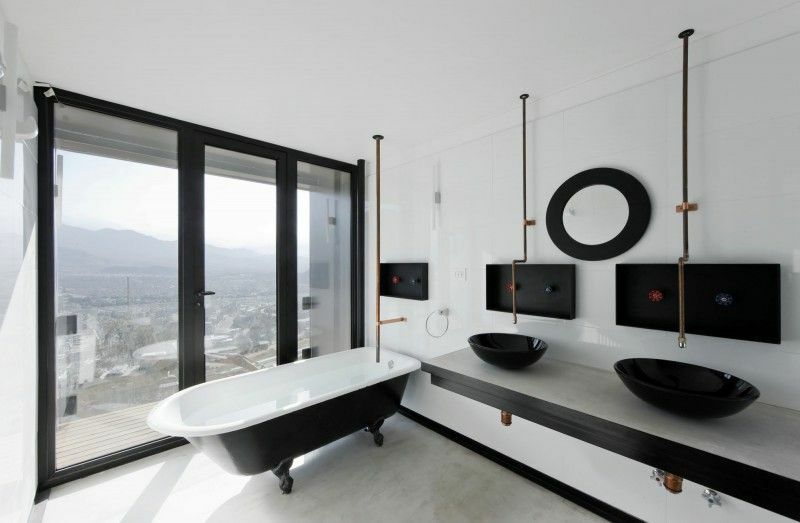 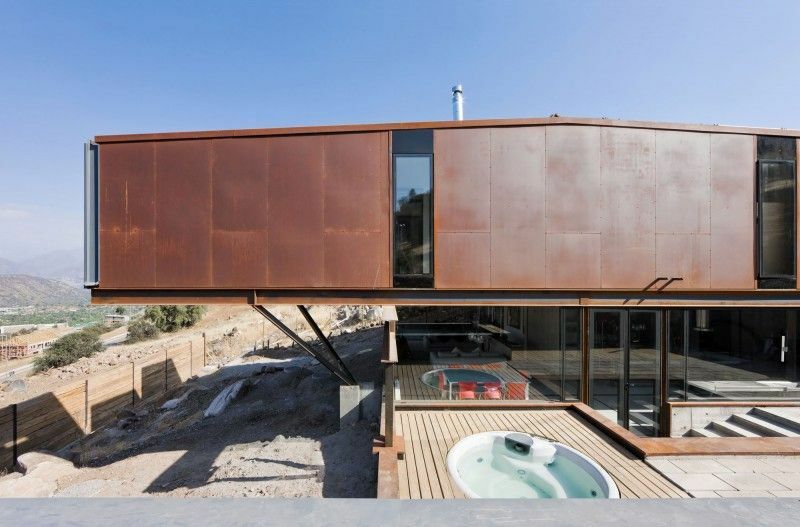 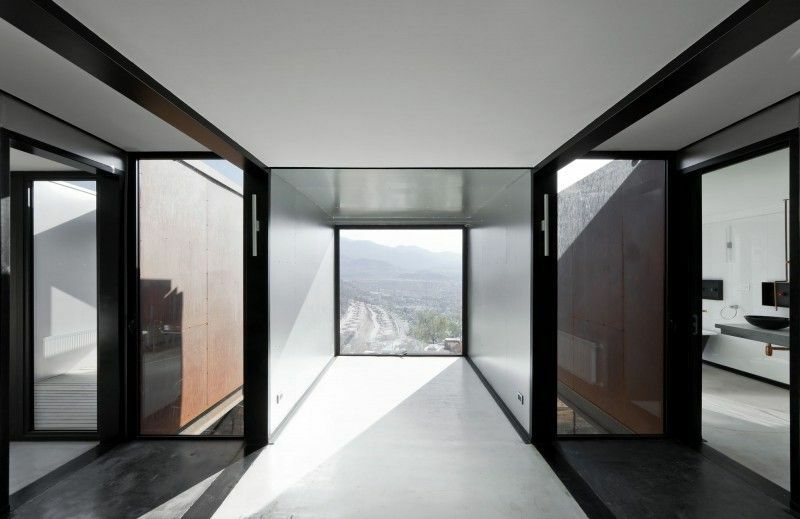 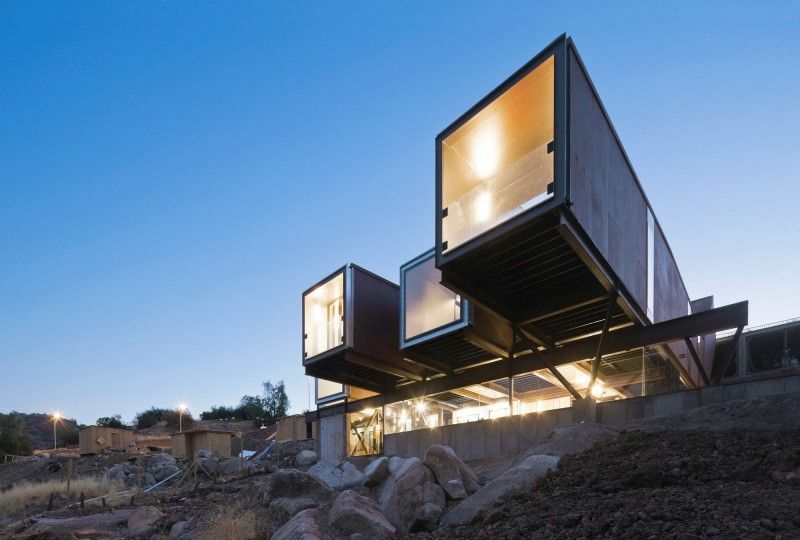 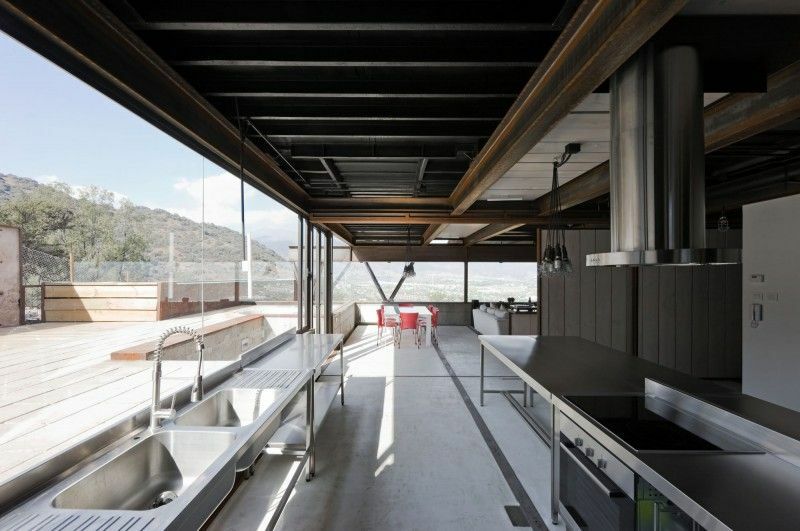 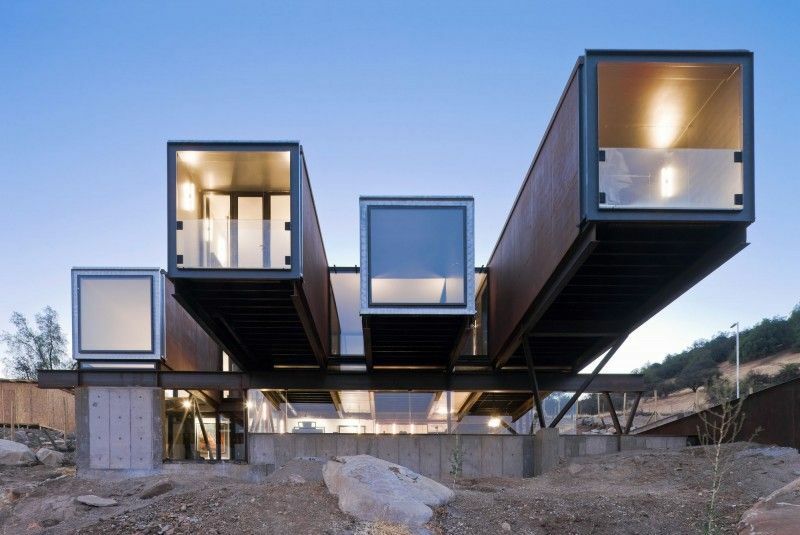 Caterpillar House is located in Lo Barnechea, Santiago de Chile, Chile, and was designed by Sebastián Irarrázaval. 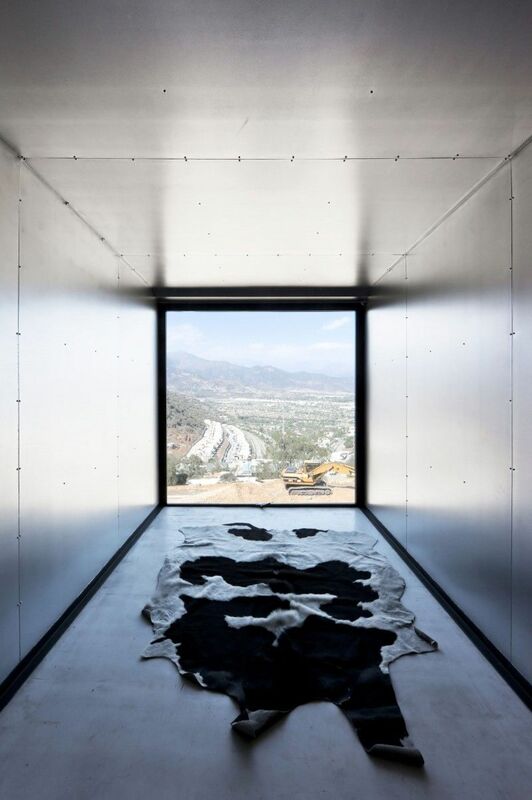 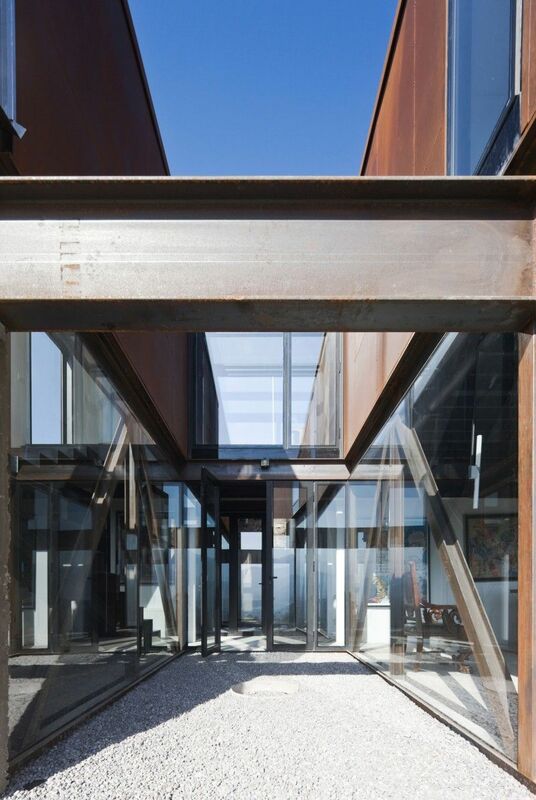 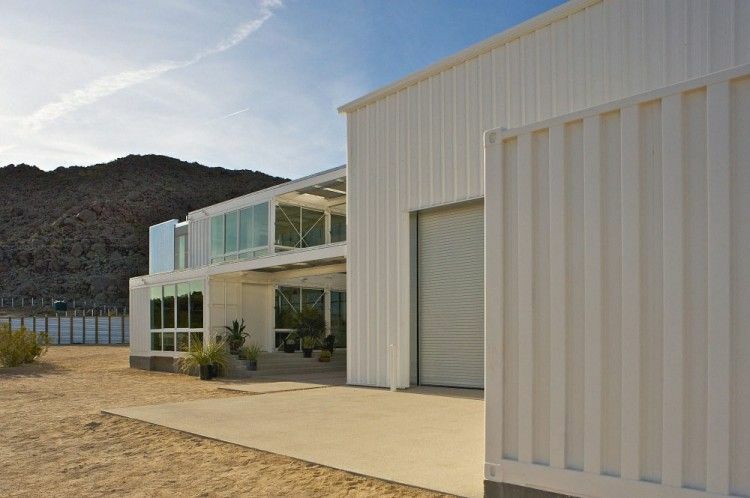 The home overlooks a dry landscape and was designed for an art collector, using twelve 20 foot and 40-foot shipping containers. 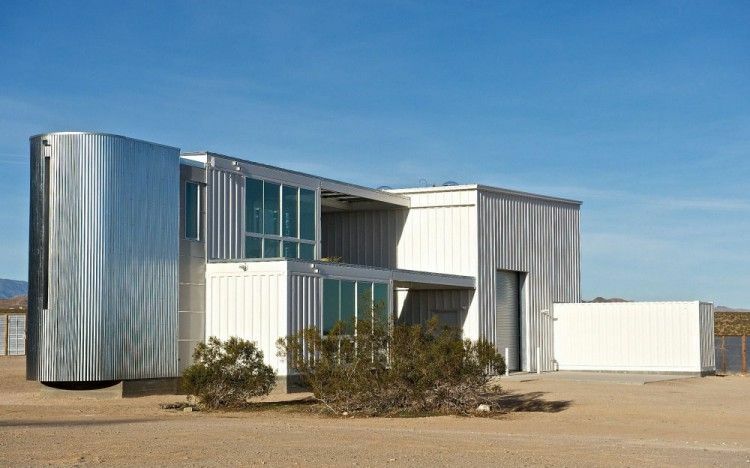 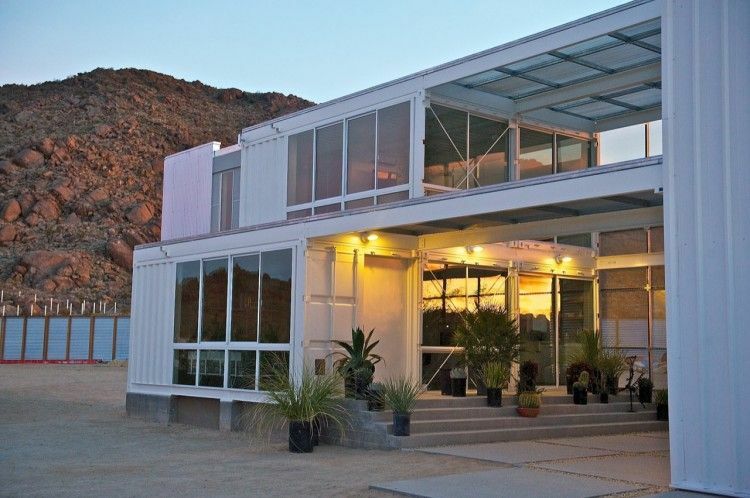 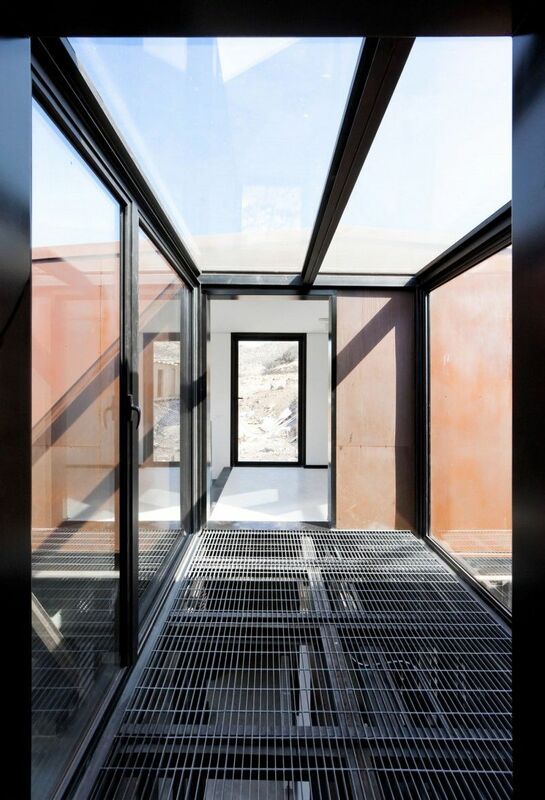 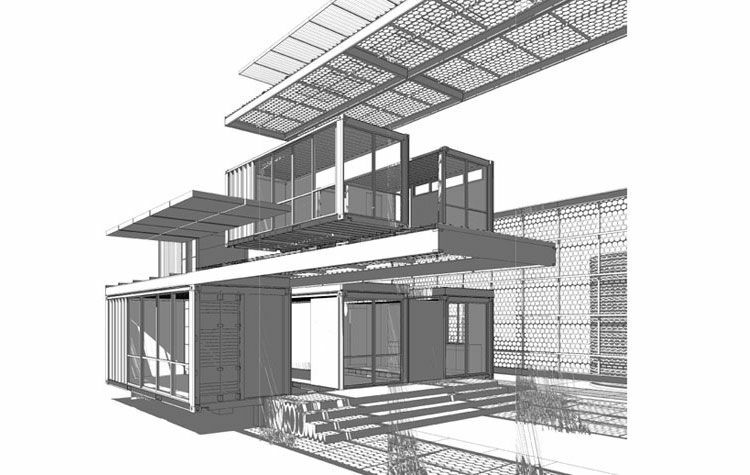 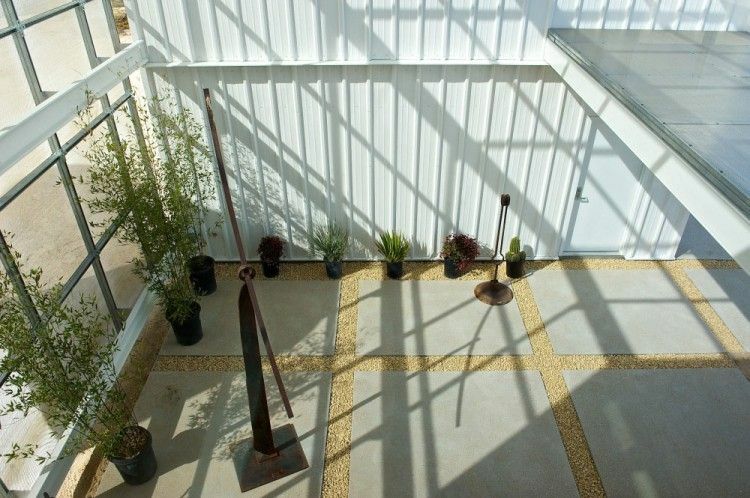 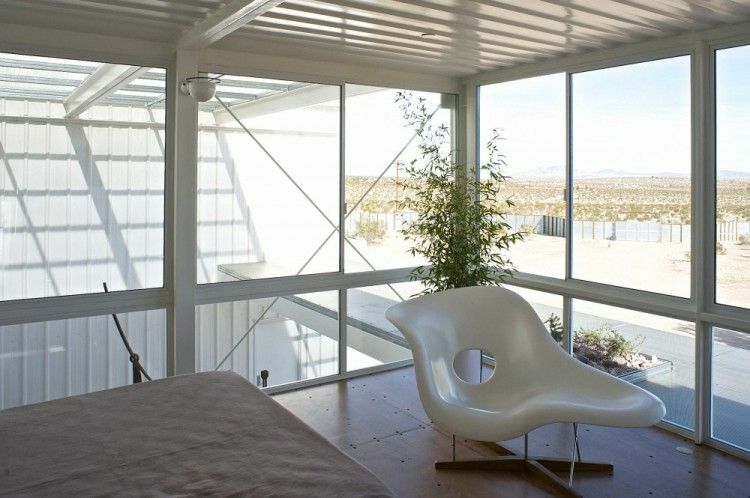 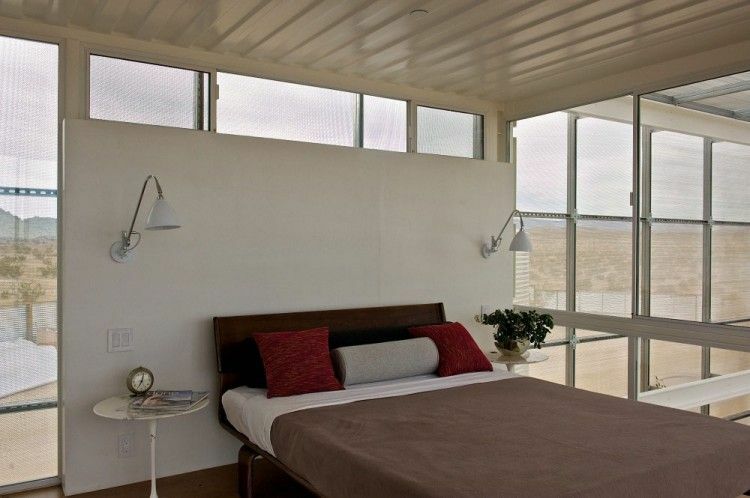 Ecotech Design completed the first Shipping Container Home in the Mojave Desert in 2011. 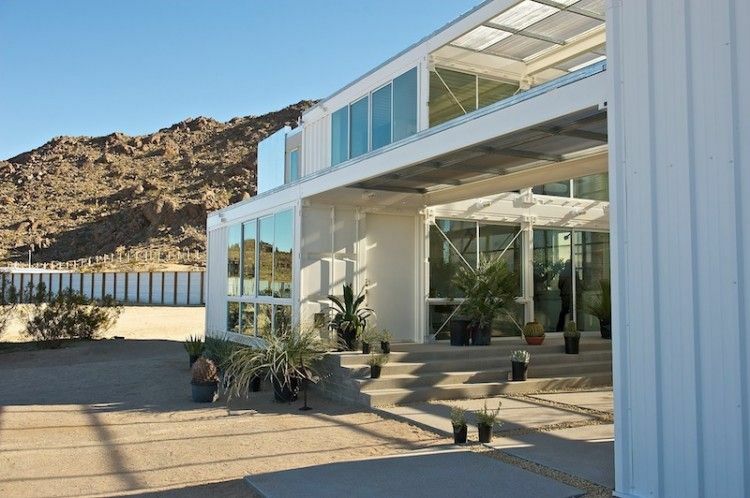 Made with six shipping containers, the 2,300 square foot contemporary house was built for about $200 per square foot, including the foundation. 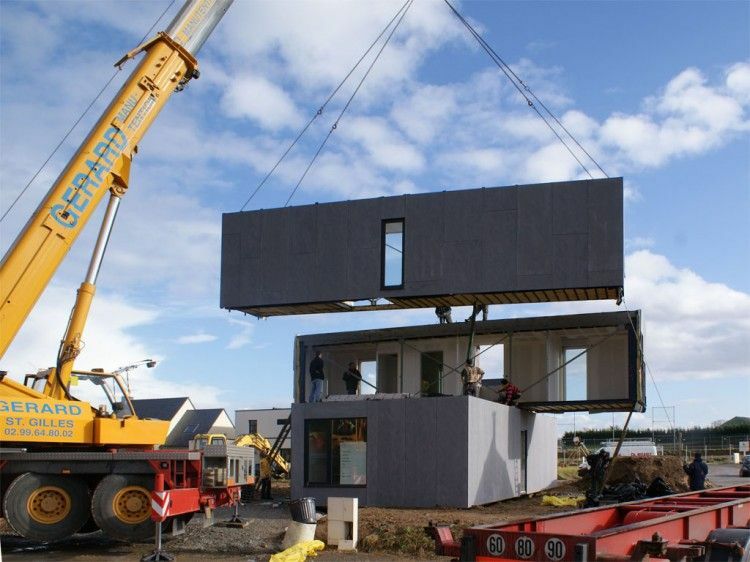 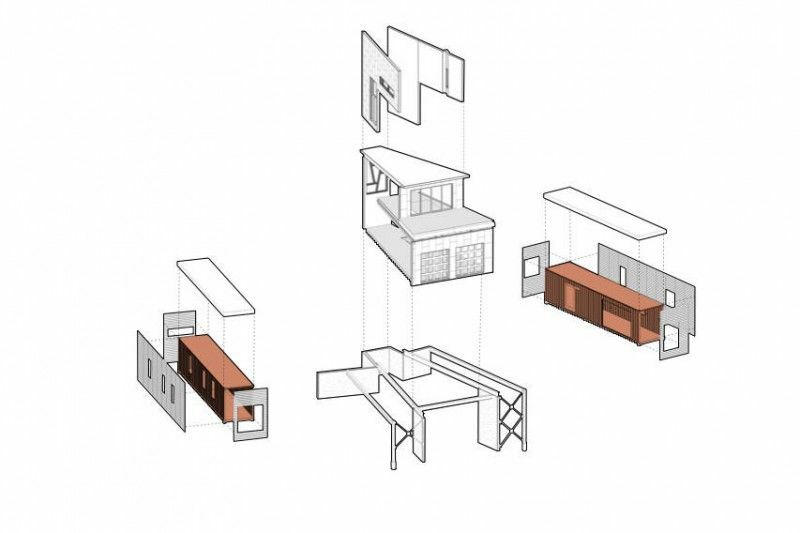 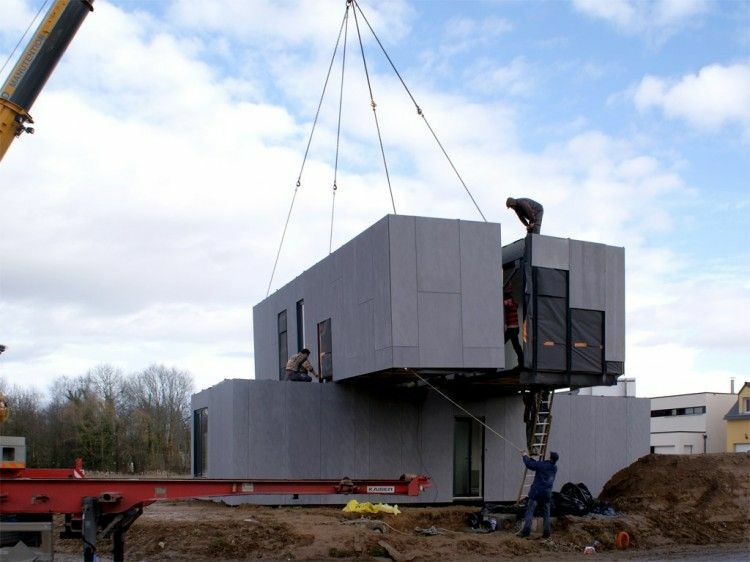 This project is a prototype of a three-dimensional modular and industrialized house, built with four 40 foot shipping containers. 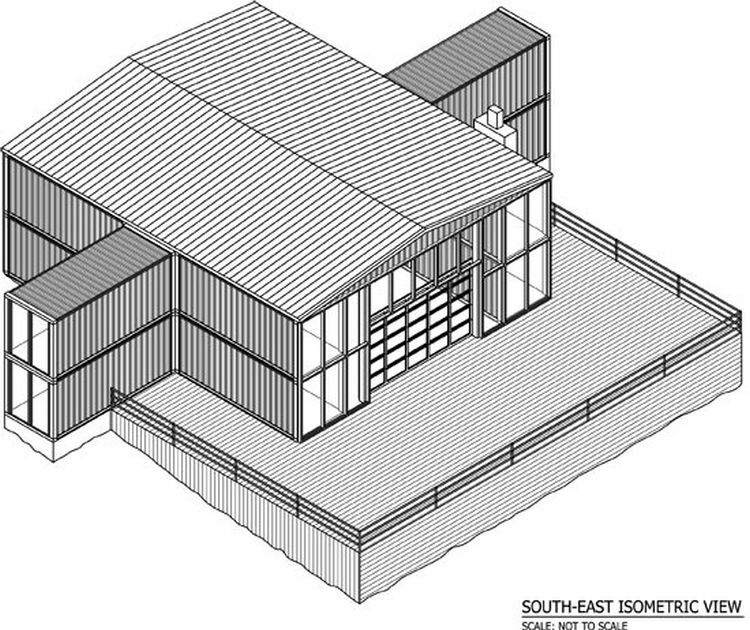 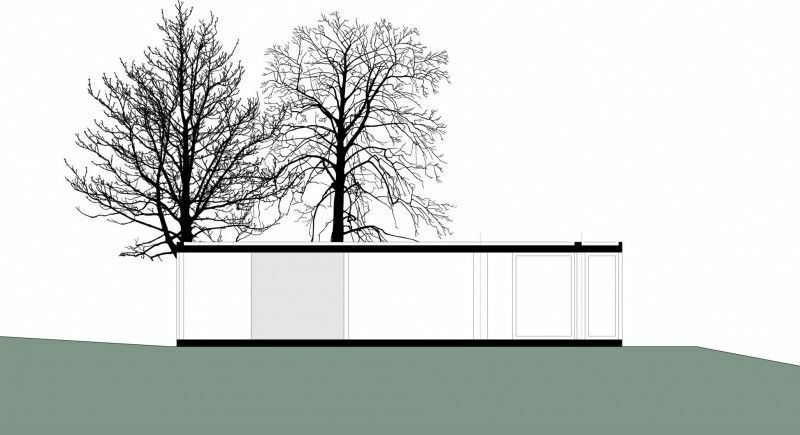 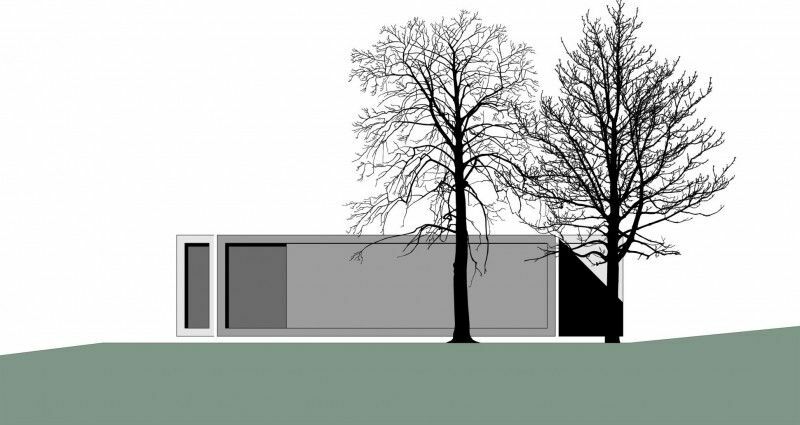 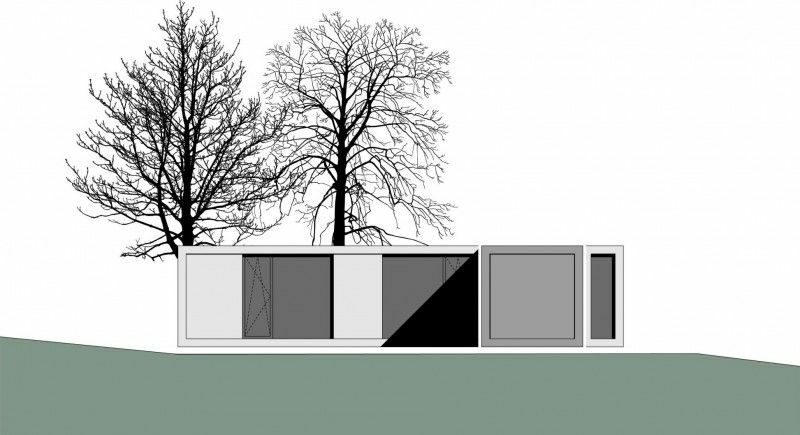 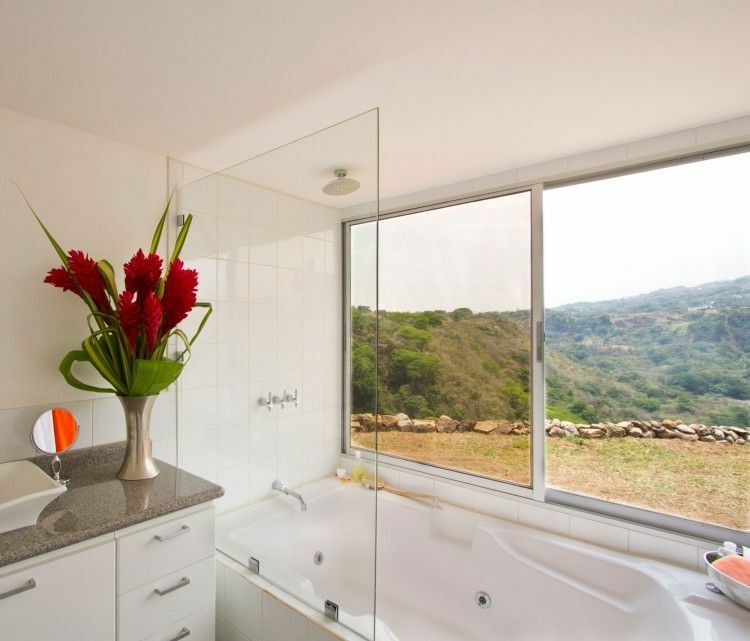 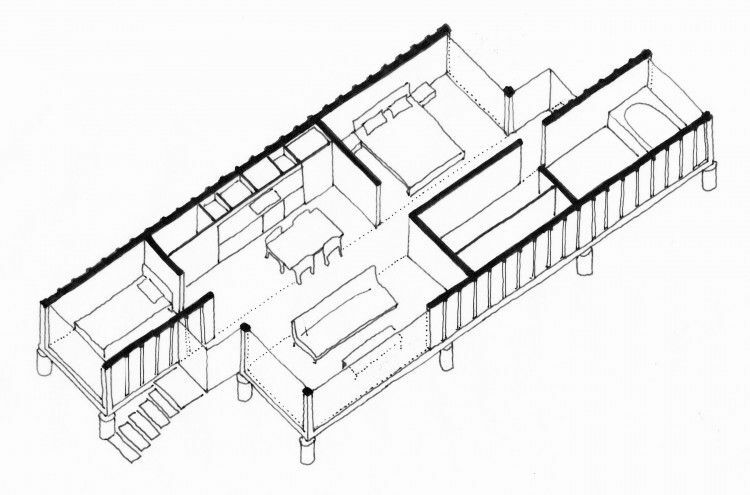 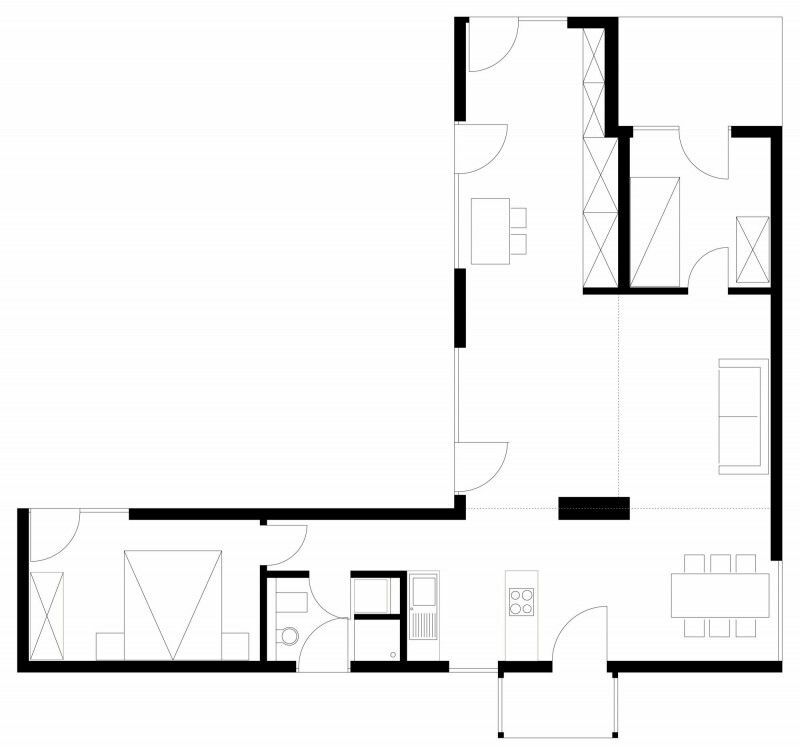 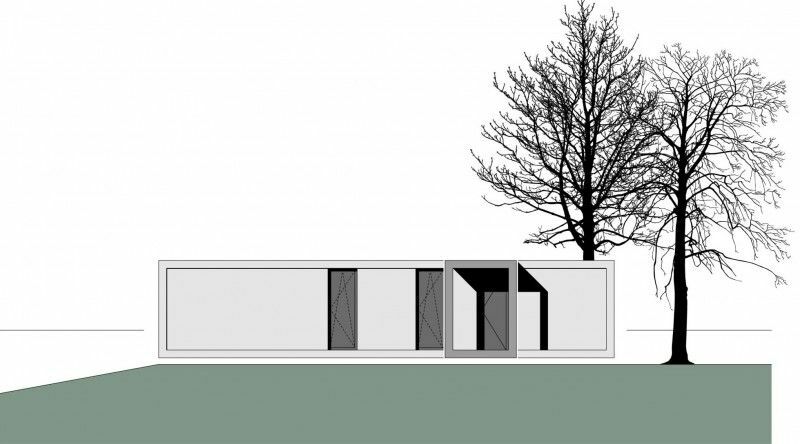 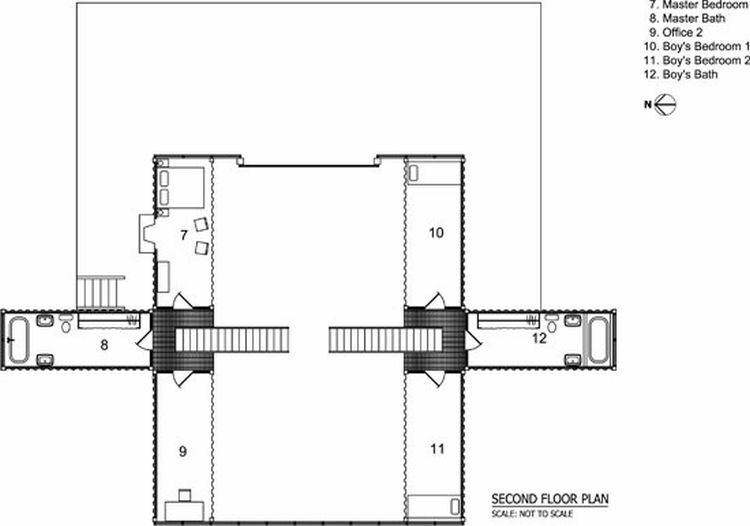 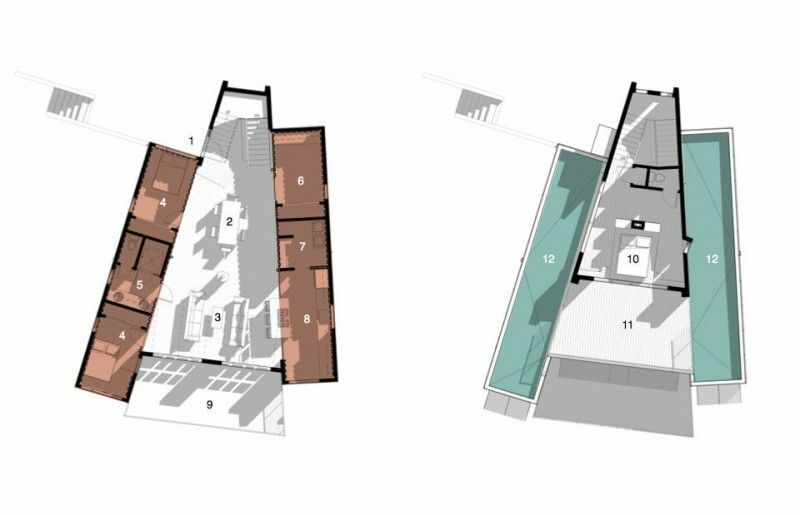 The aim of this project is to build a low-cost architect’s housing with high focus on environmental issues. 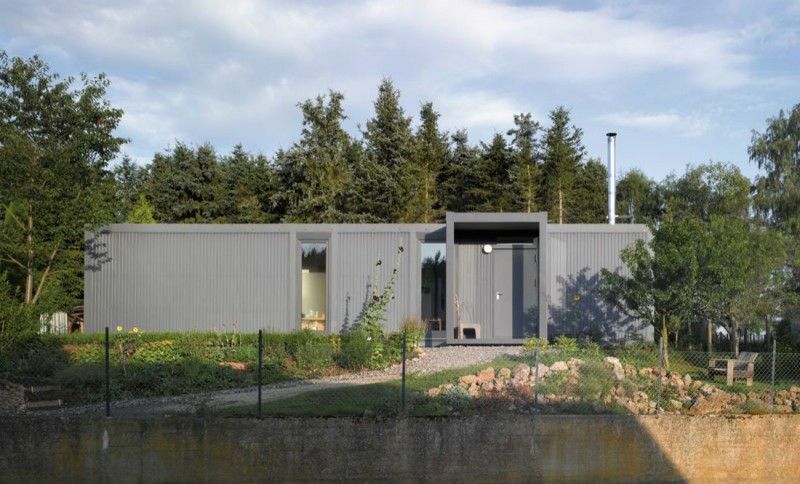 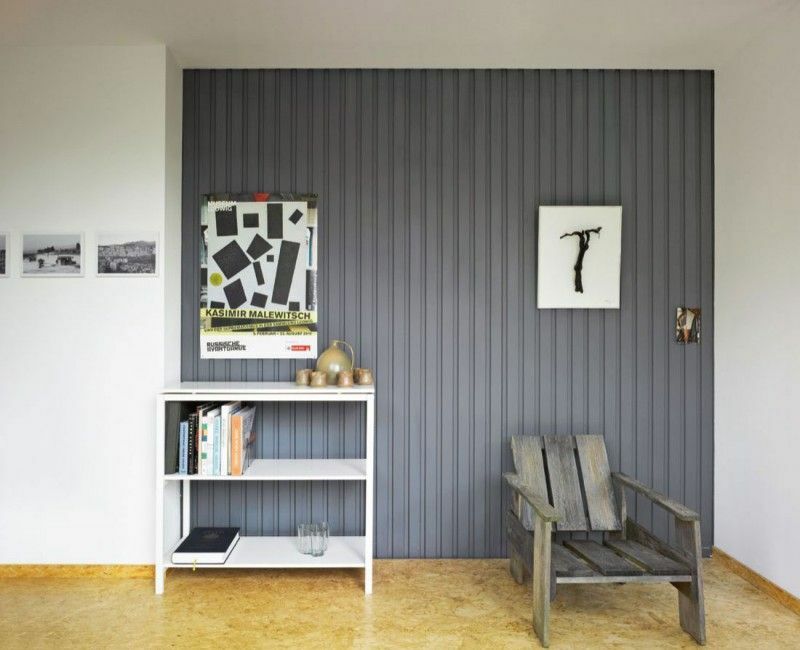 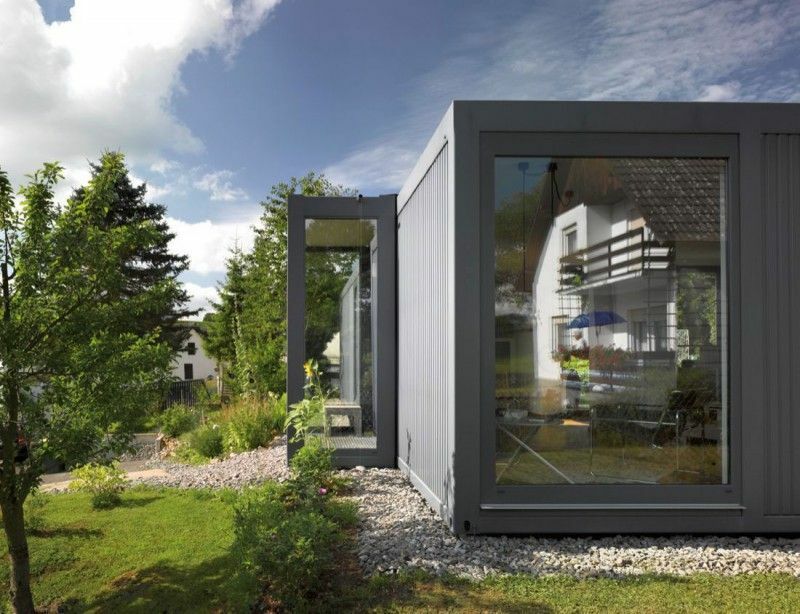 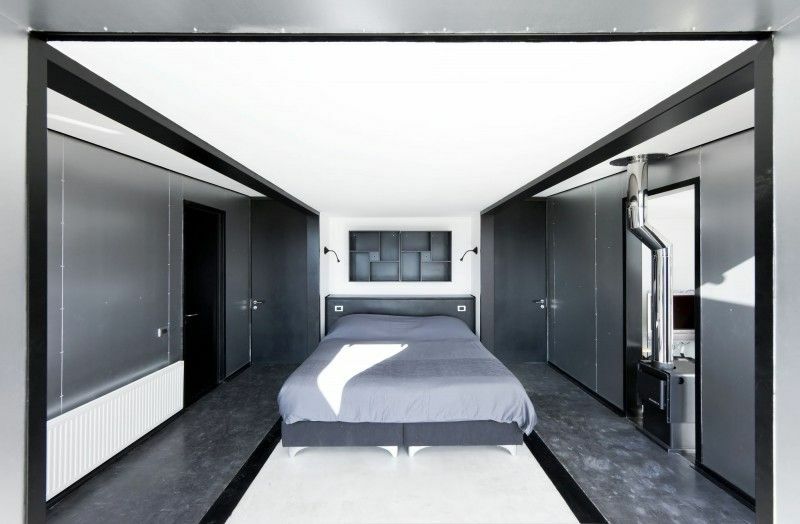 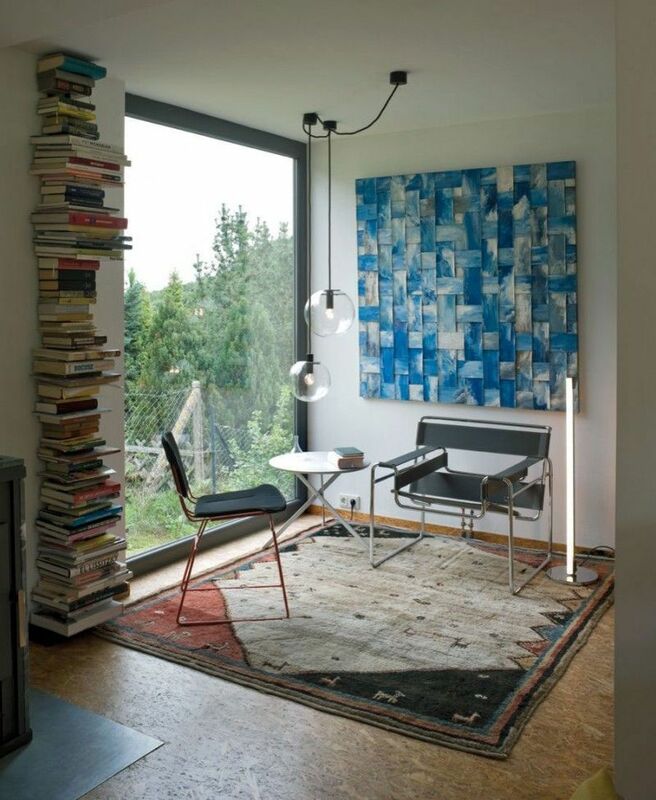 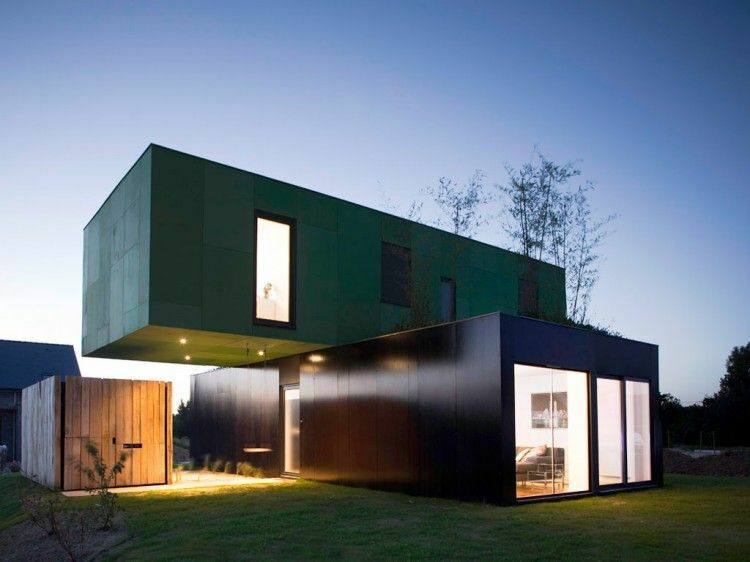 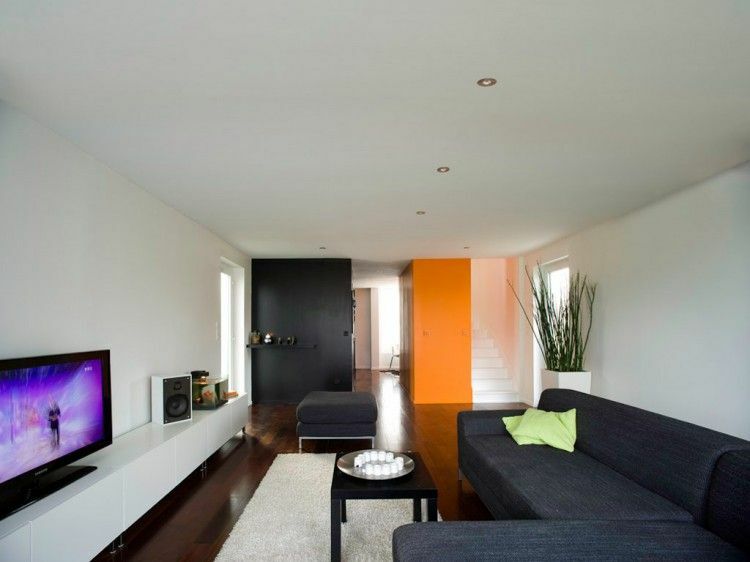 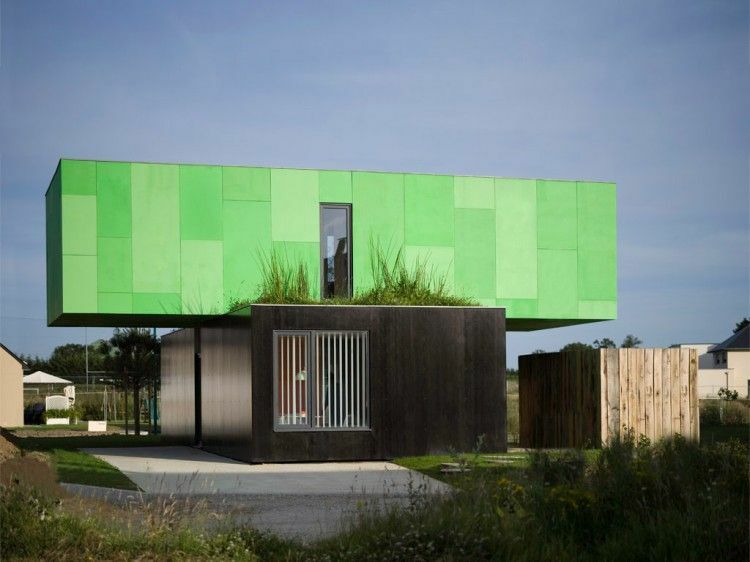 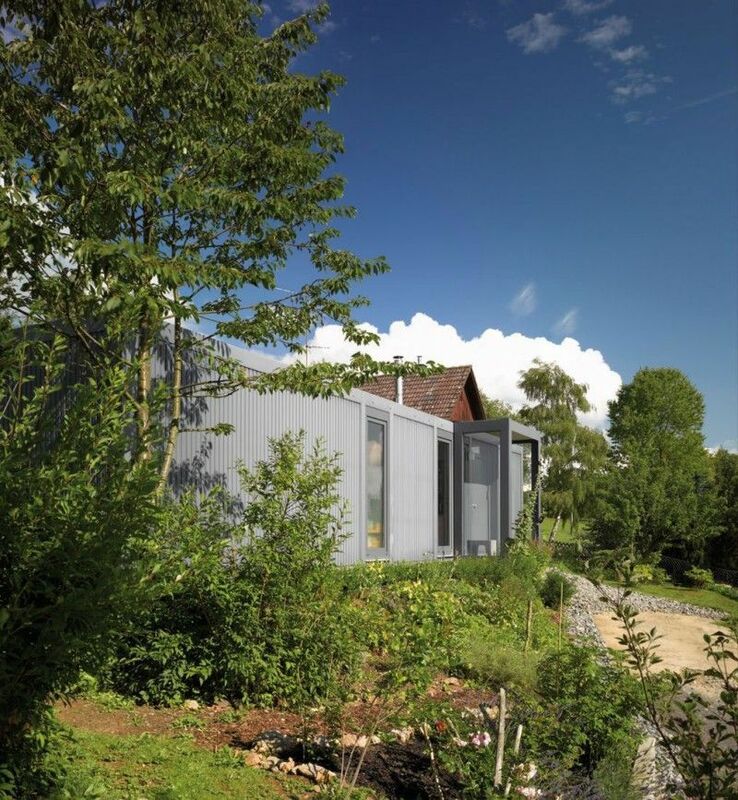 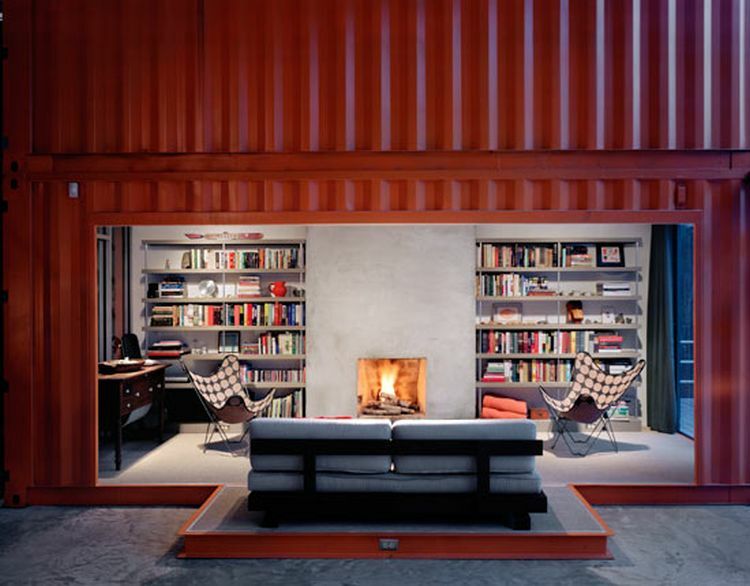 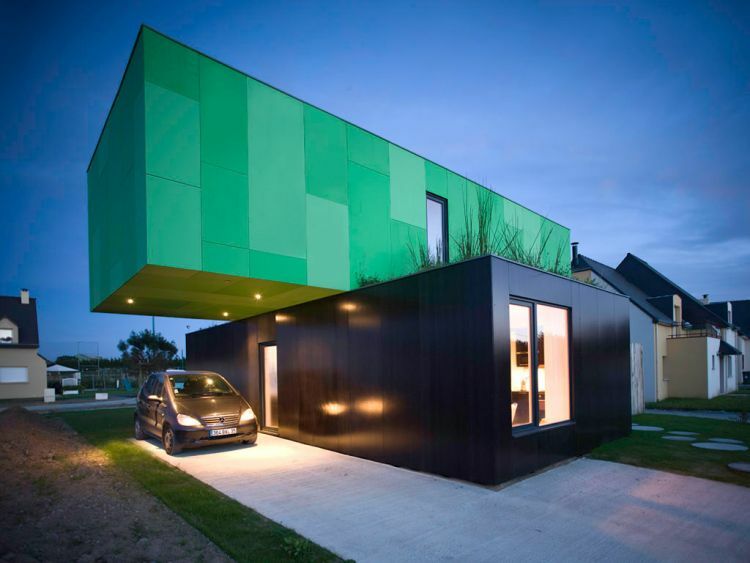 Designed by LHVH Architekten, Containerlove is a private residence made of three 40 foot shipping containers. 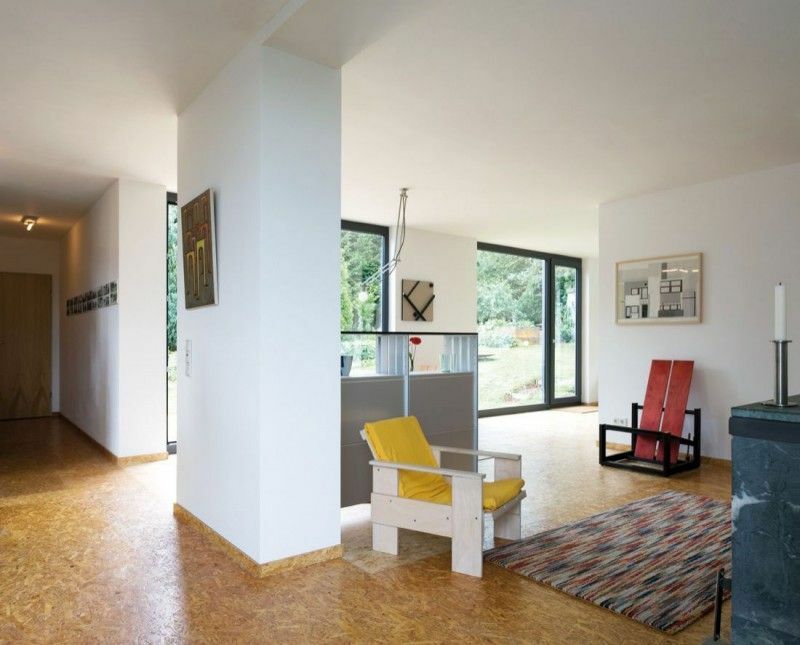 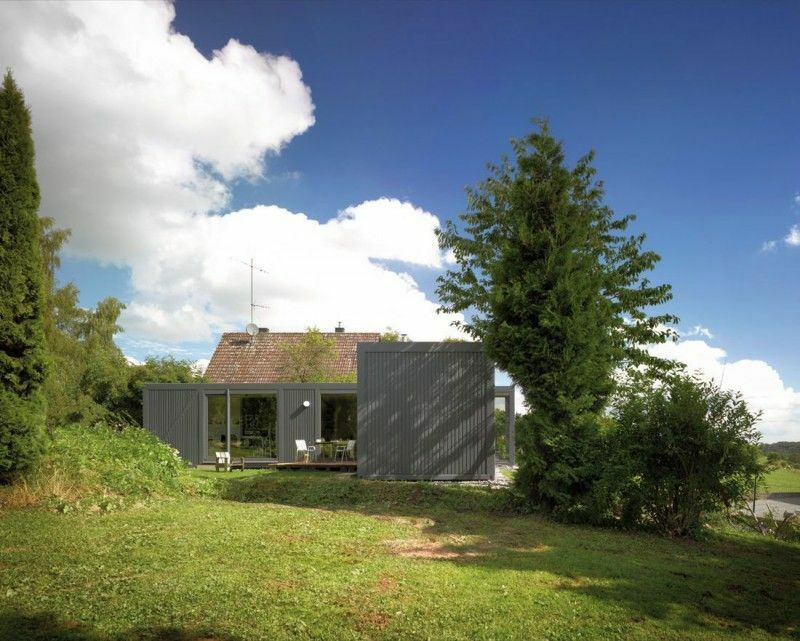 Located in Kall, Eifel, Germany, the structure sets it apart from its rural landscape, though its interior is warm and cozy. 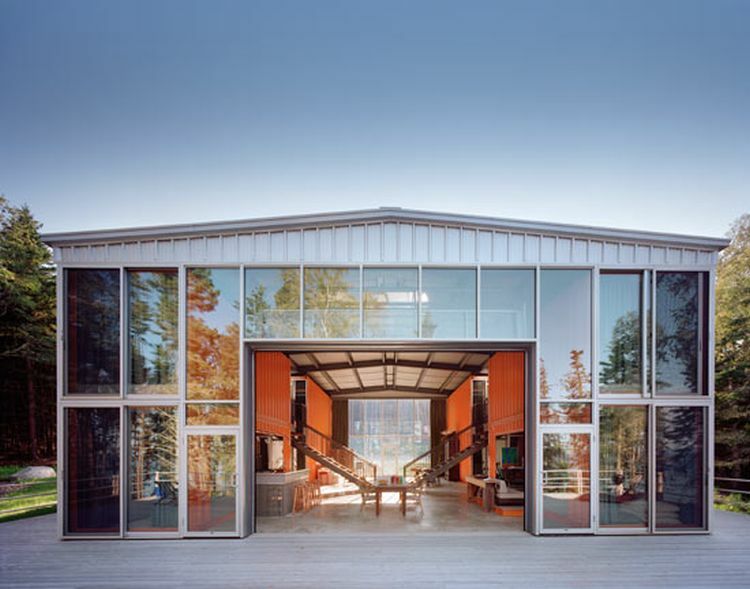 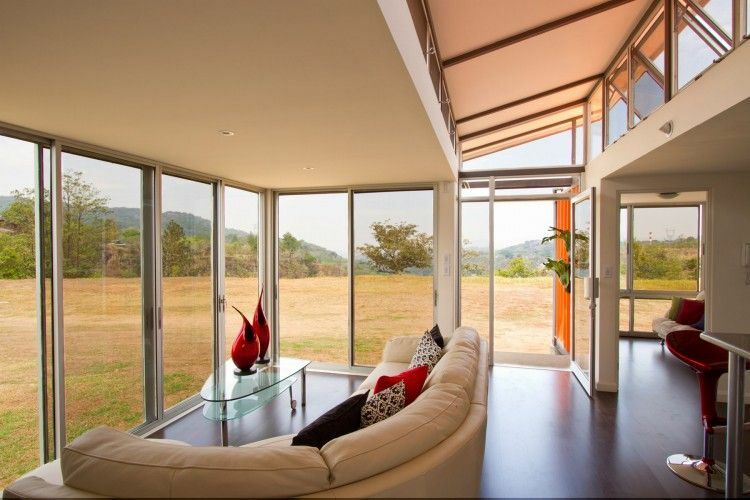 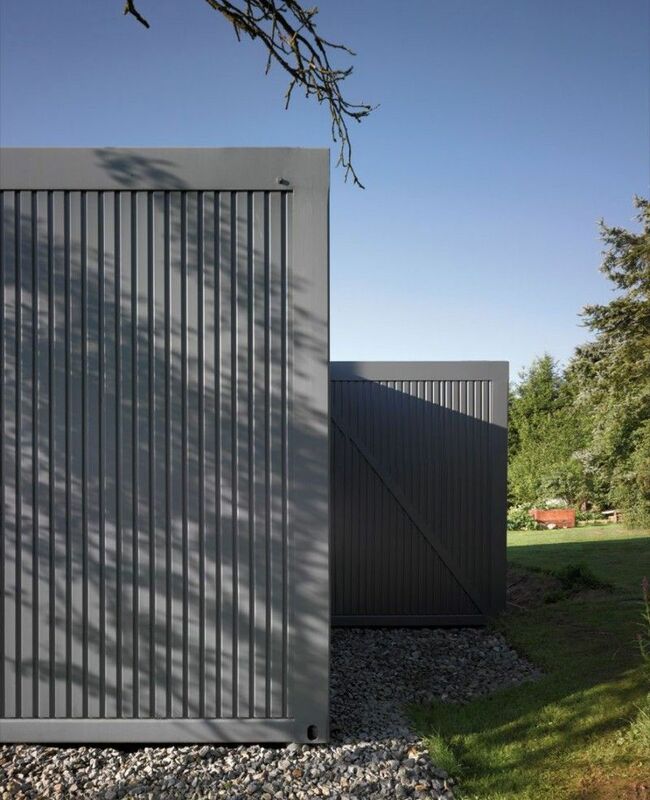 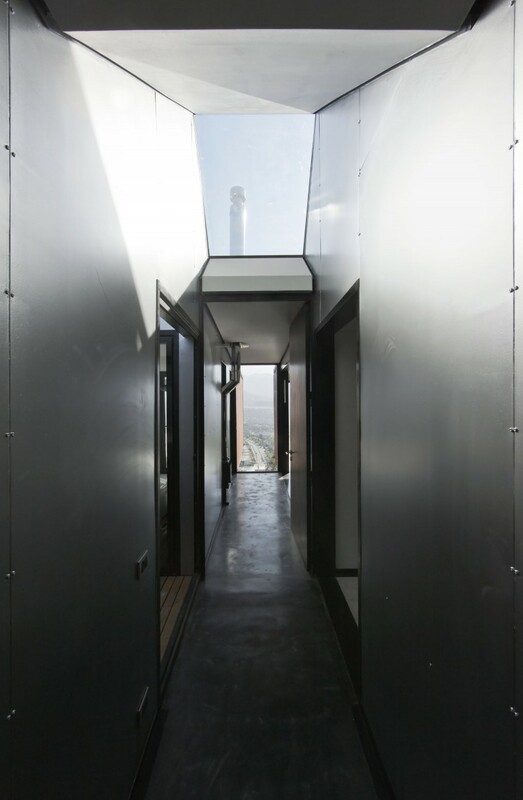 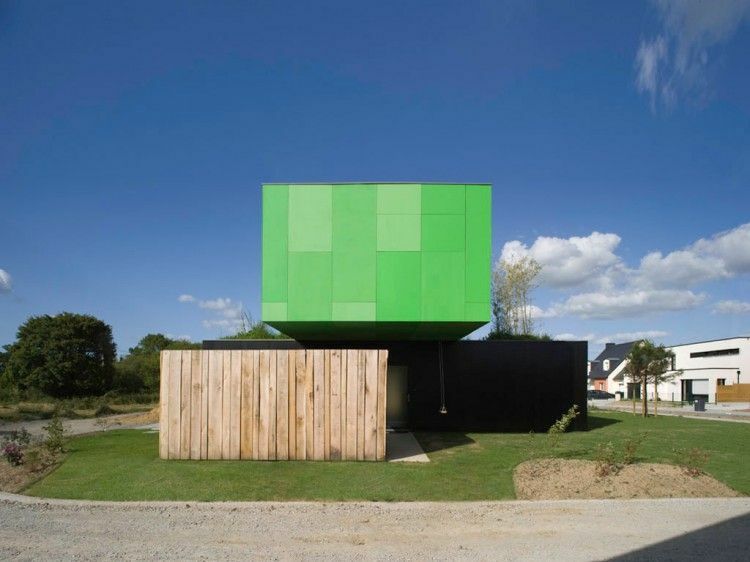 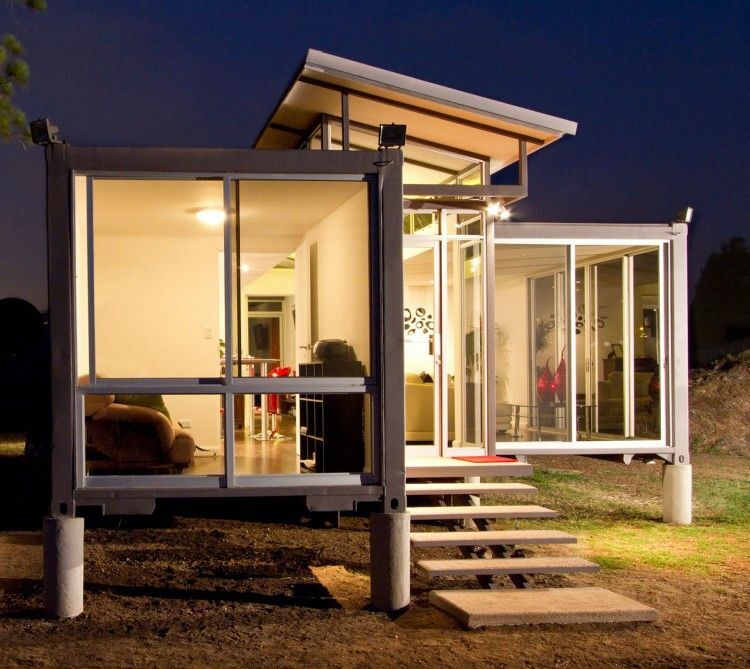 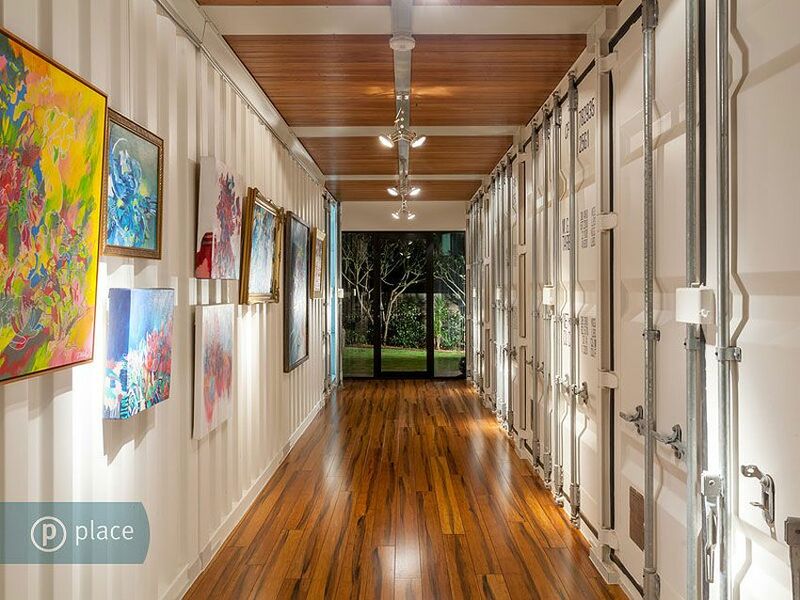 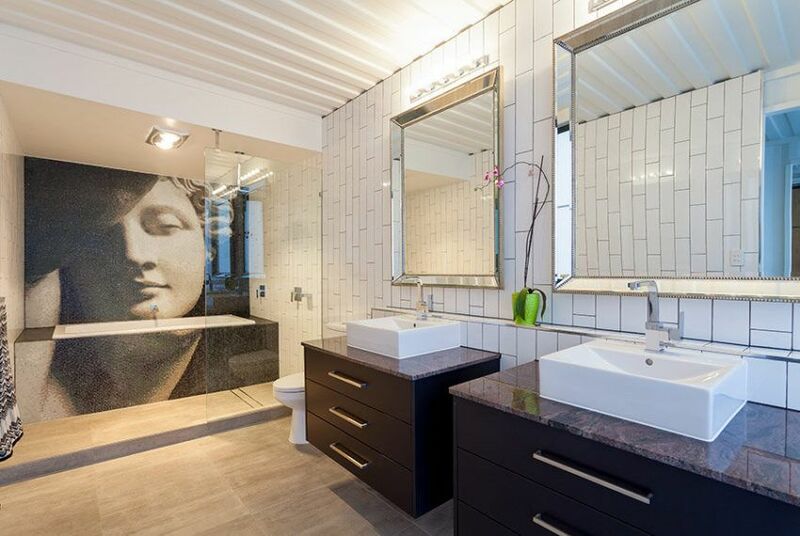 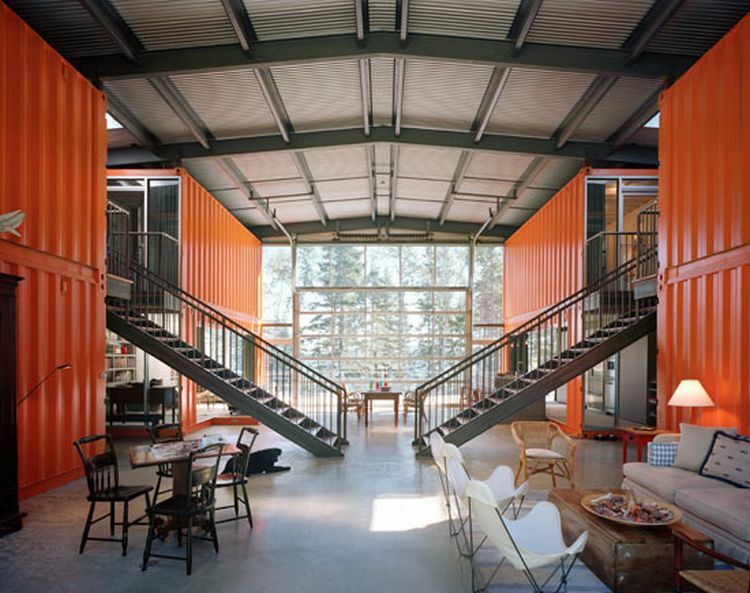 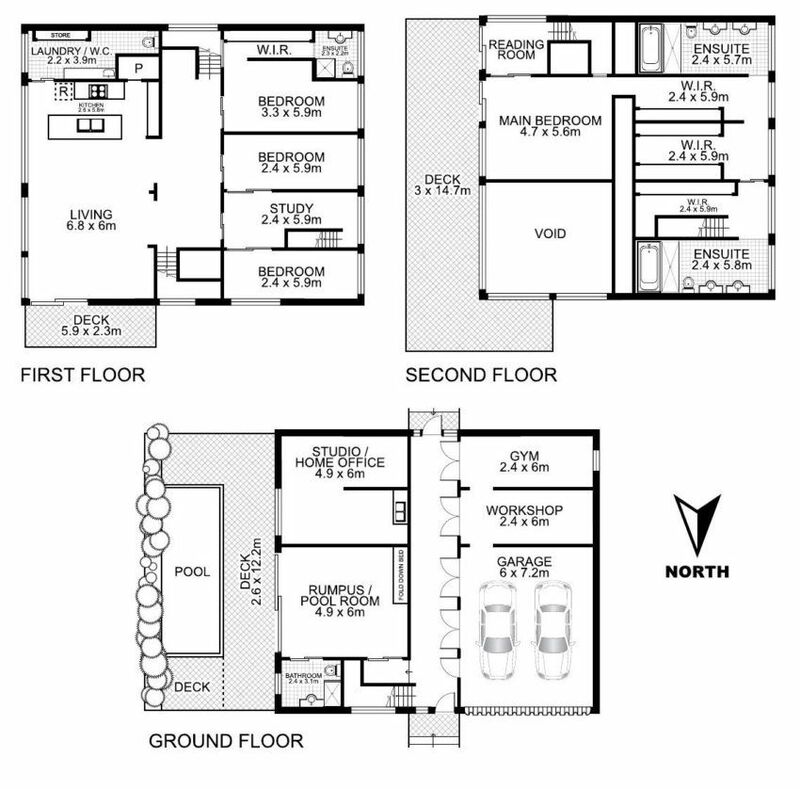 The 12 Container House was designed by architect Adam Kalkin in 2003. 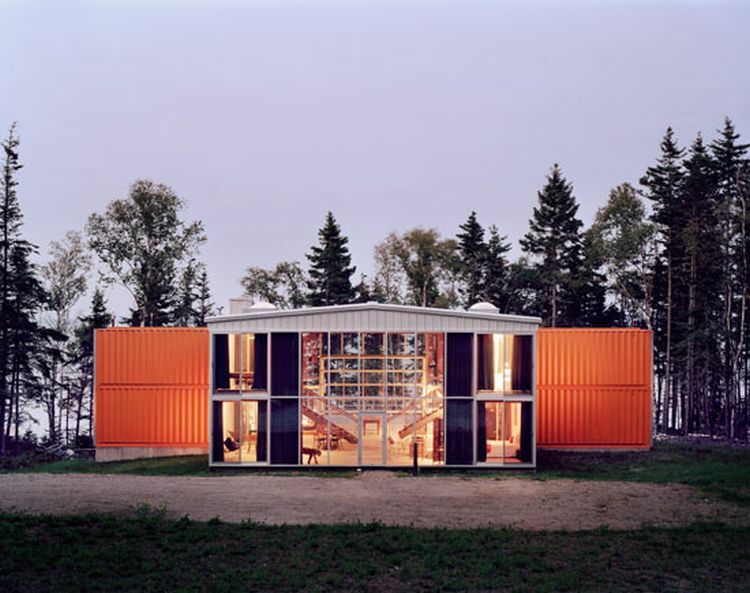 Located in Blue Hill, a small town in Maine, USA, the house was created by stacking twelve recycled 40-foot shipping containers in a T-shape.